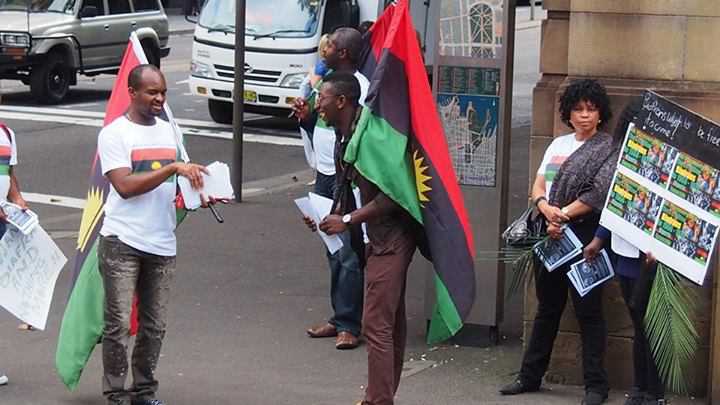 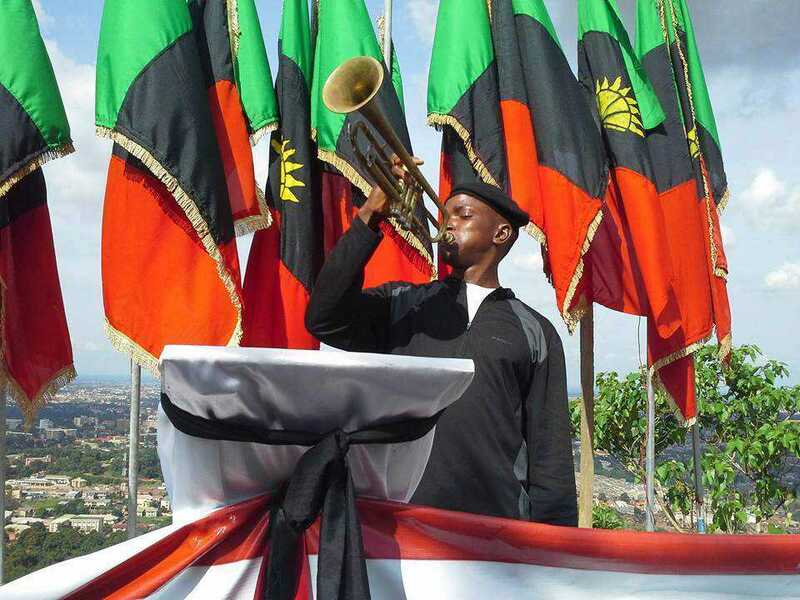 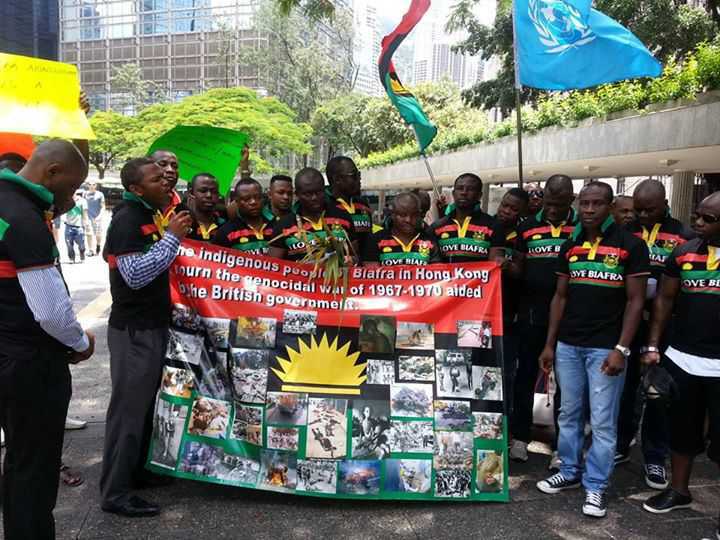 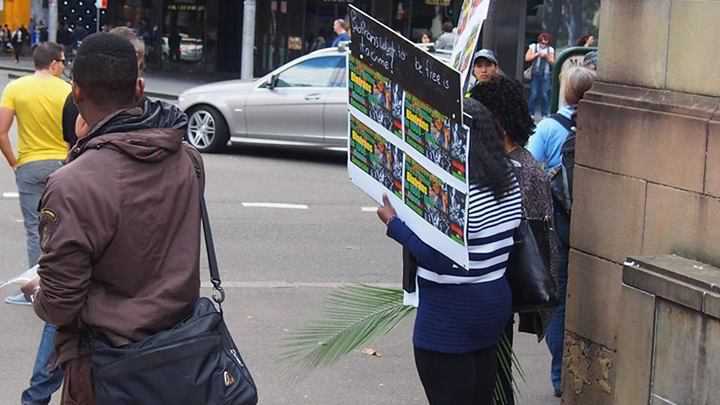 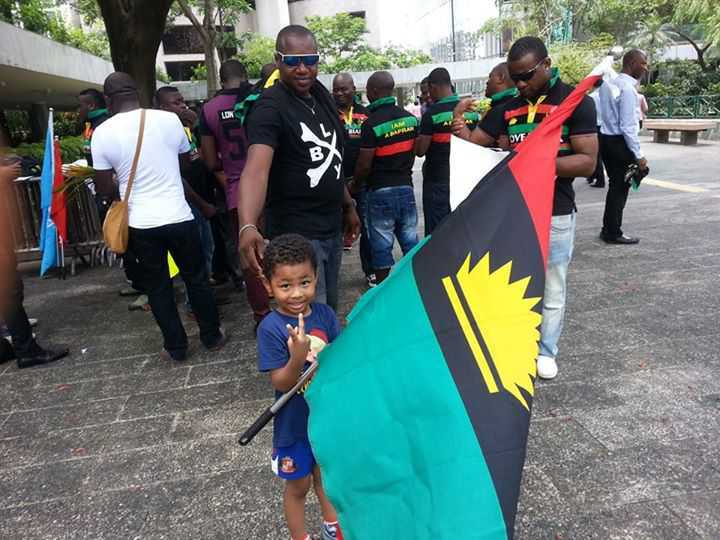 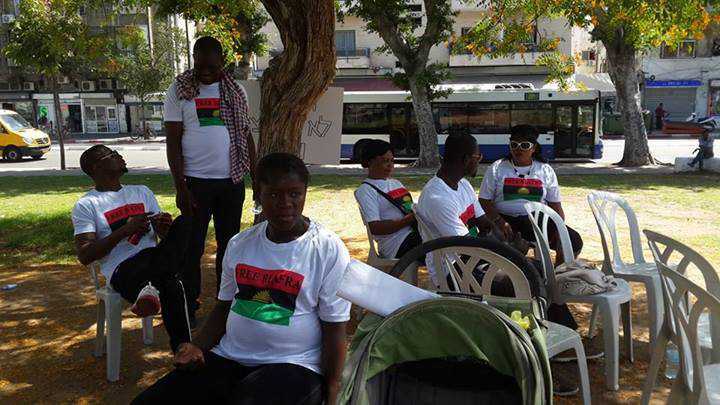 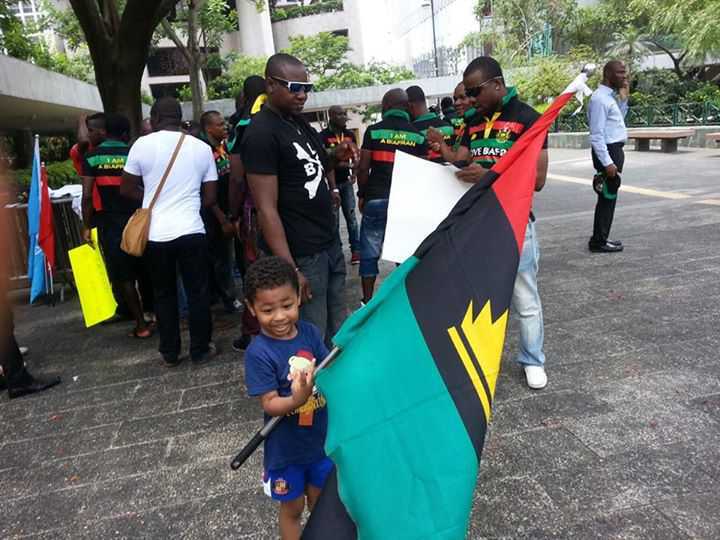 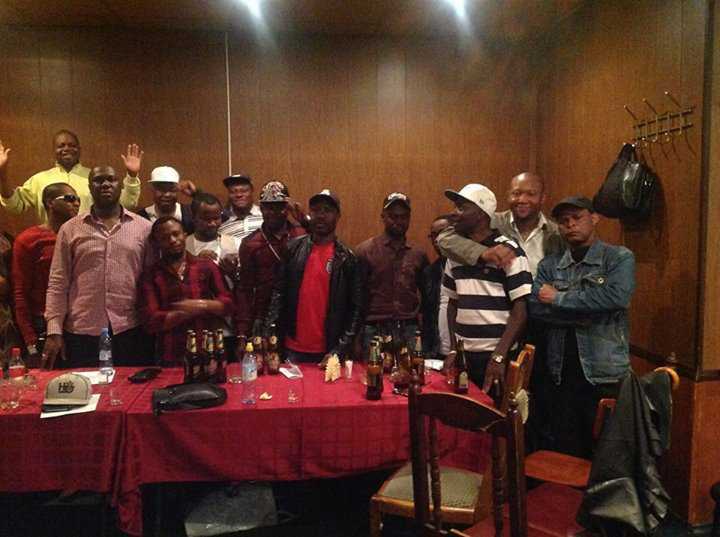 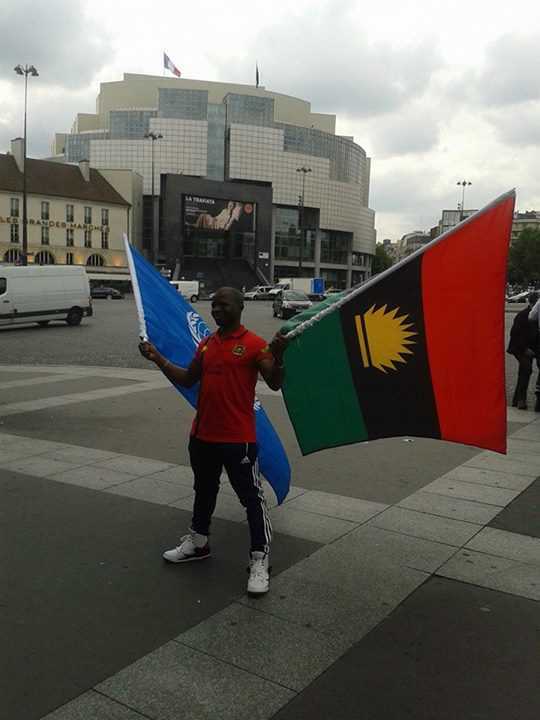 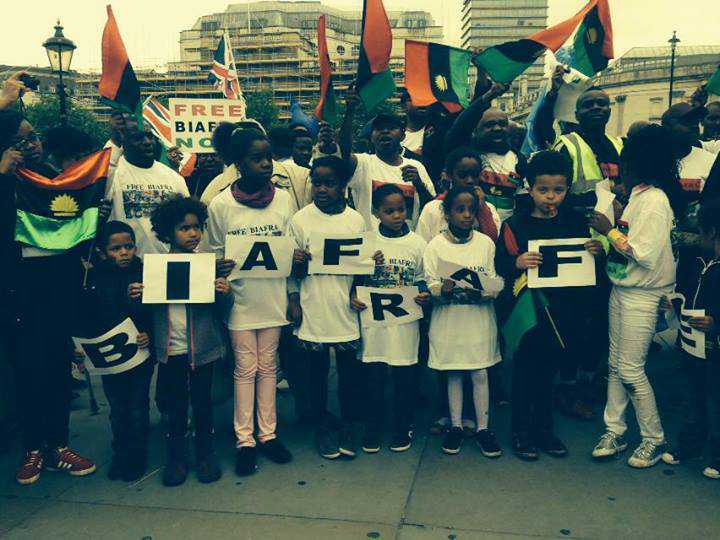 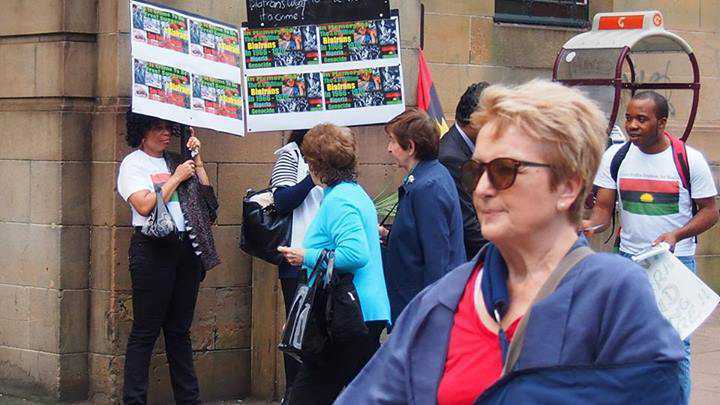 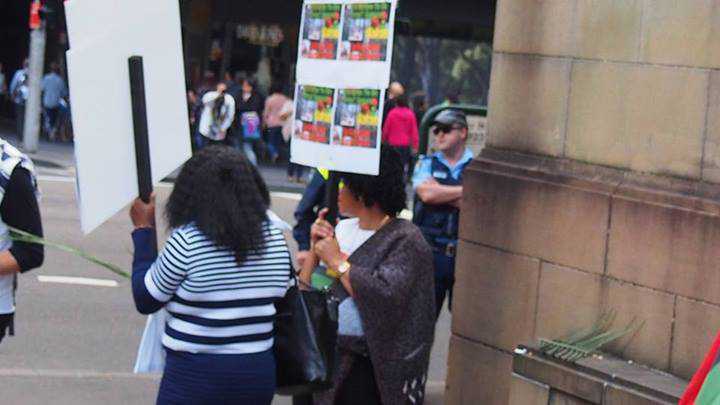 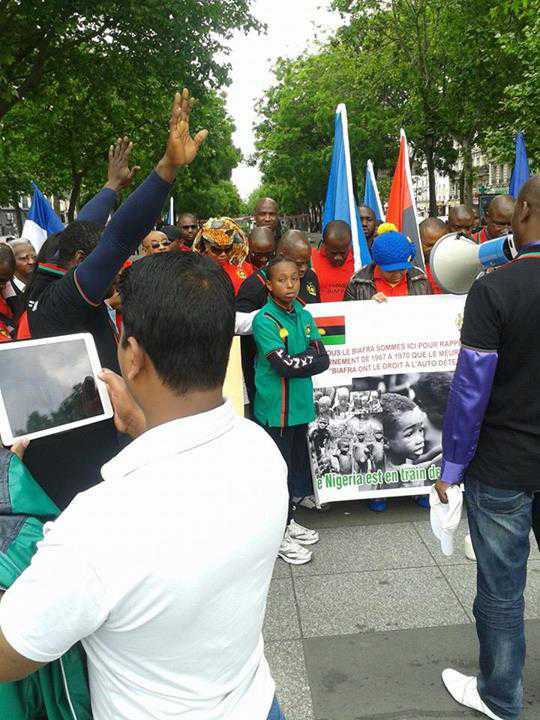 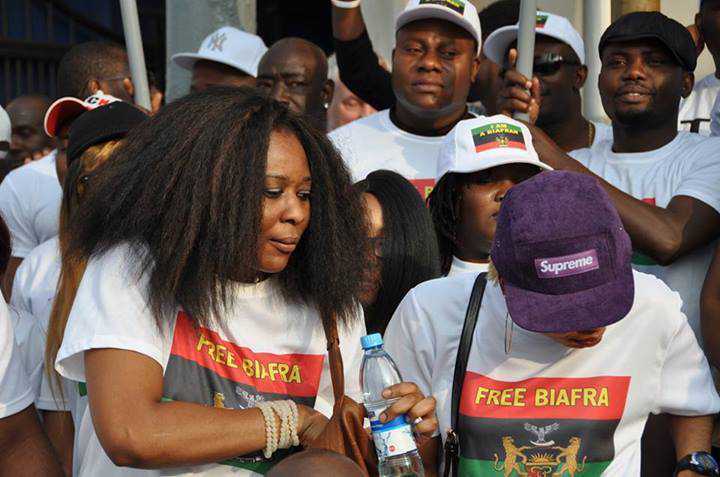 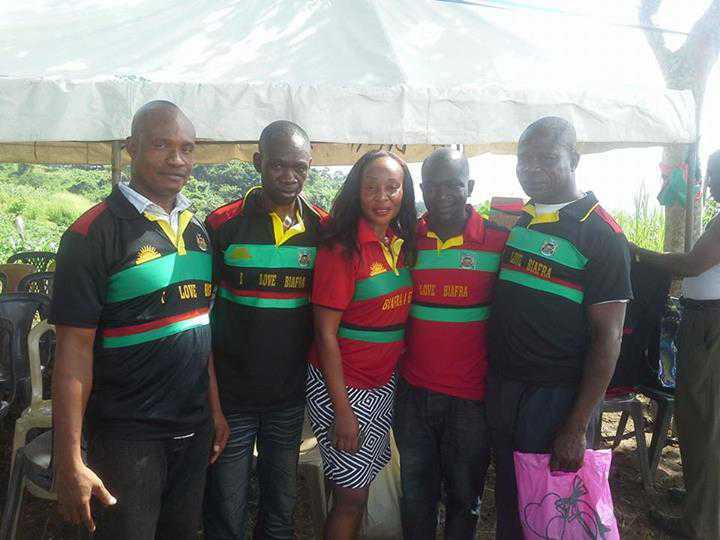 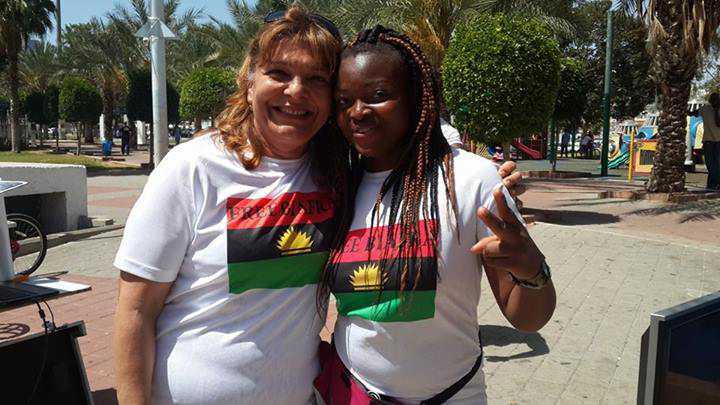 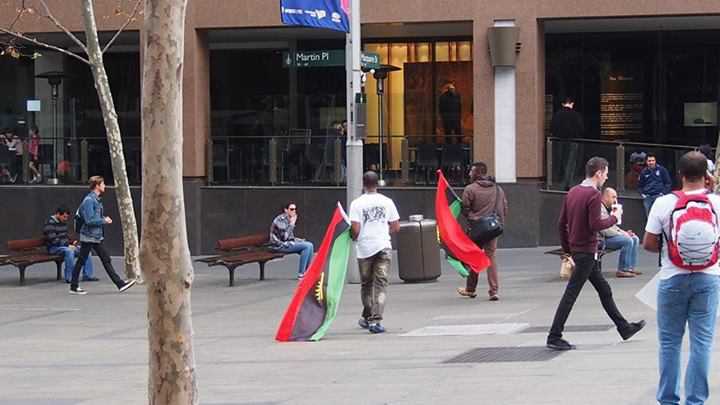 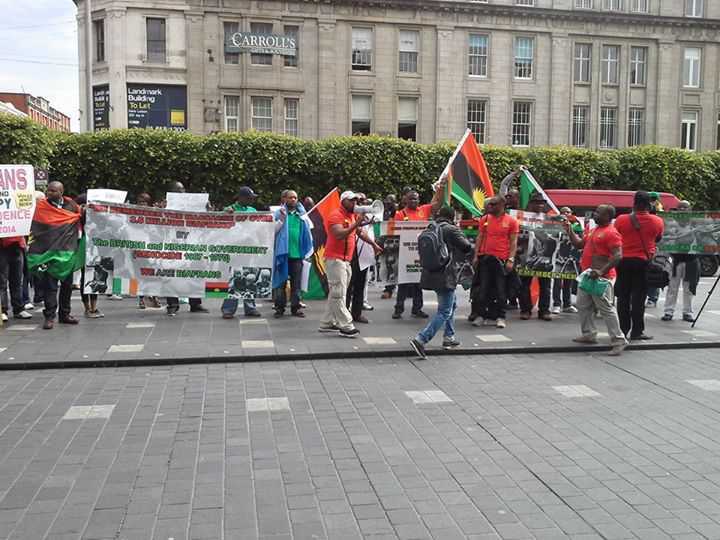 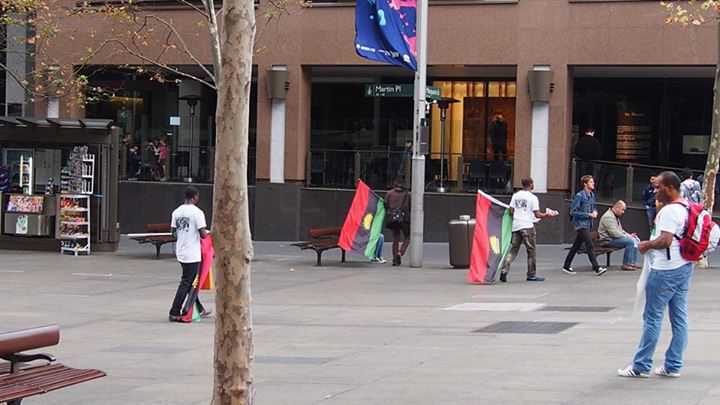 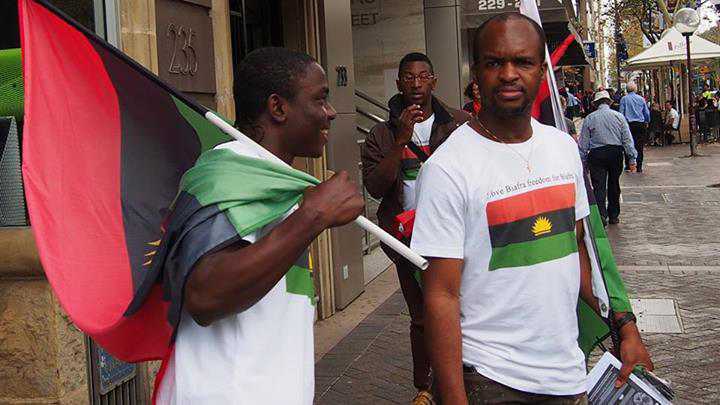 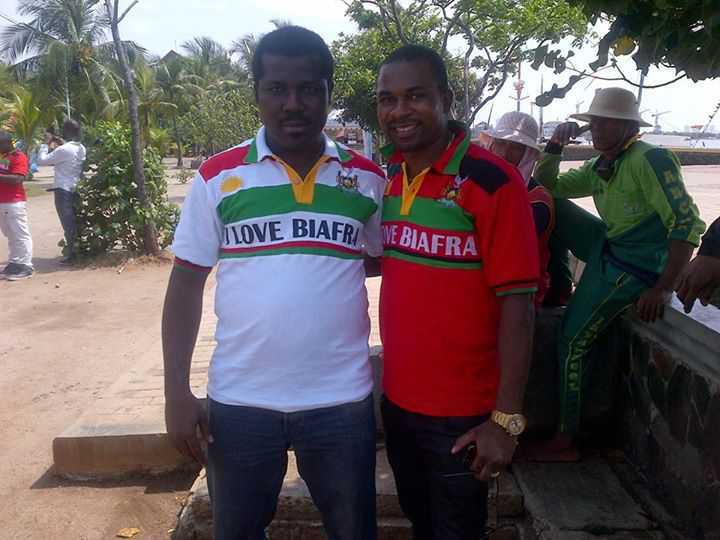 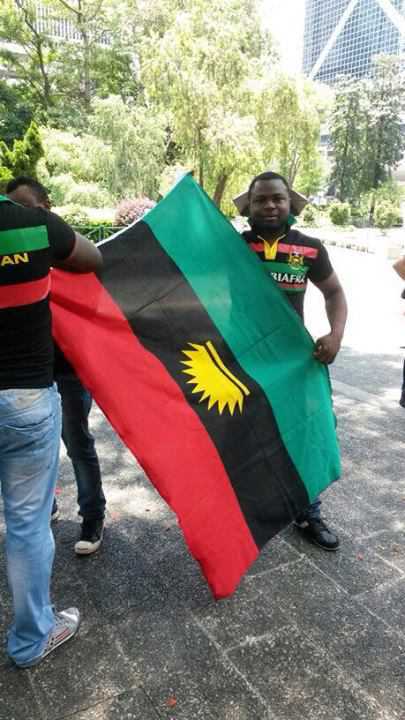 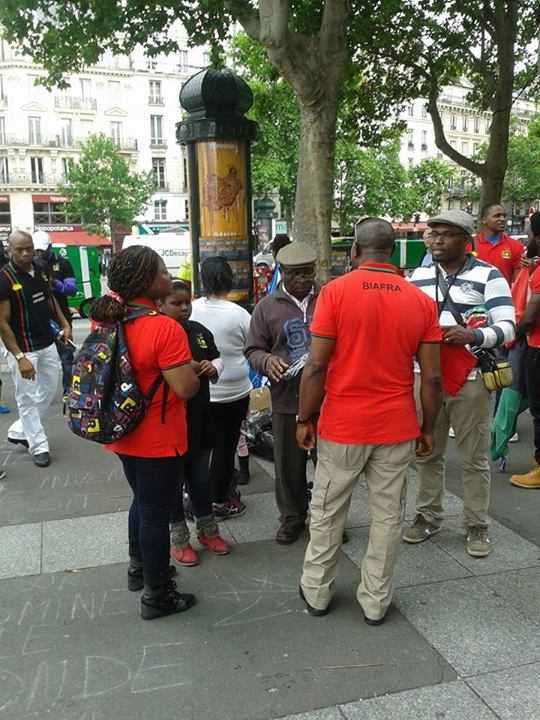 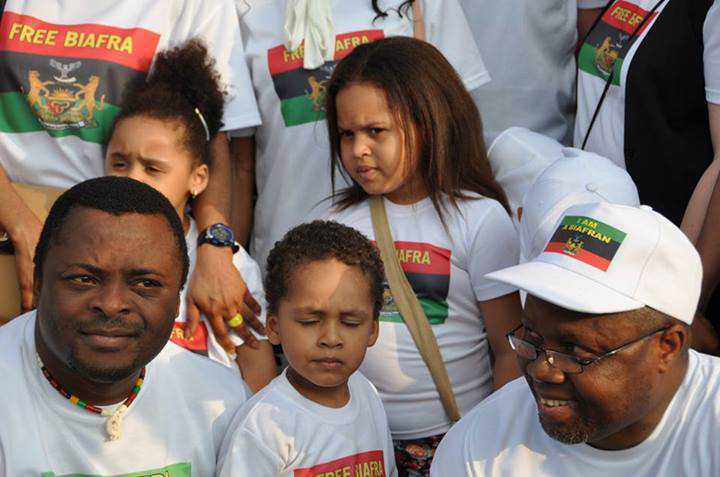 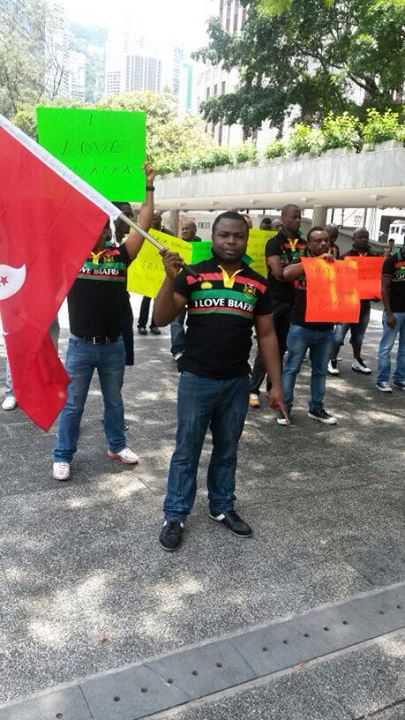 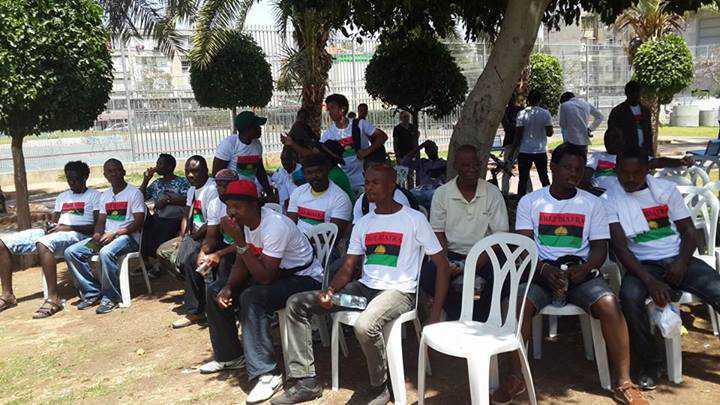 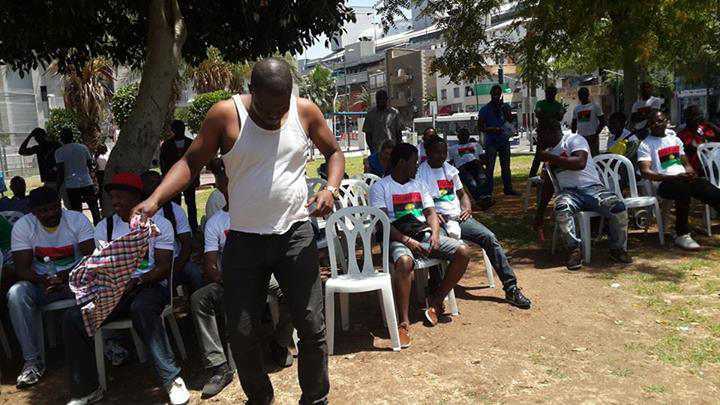 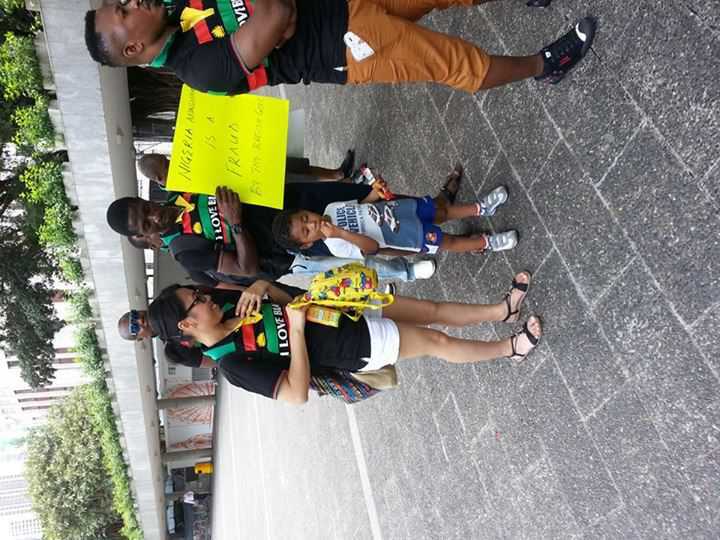 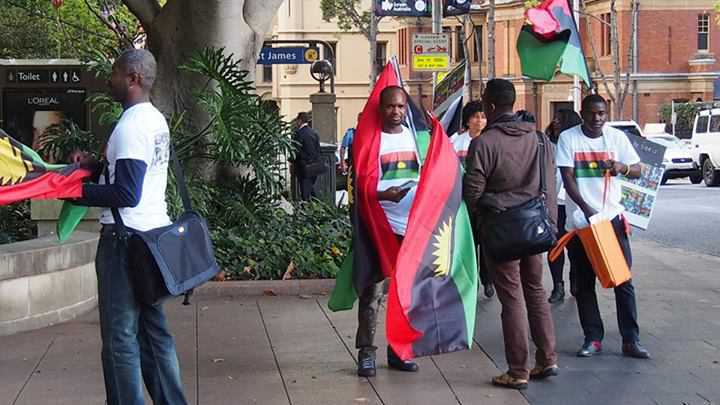 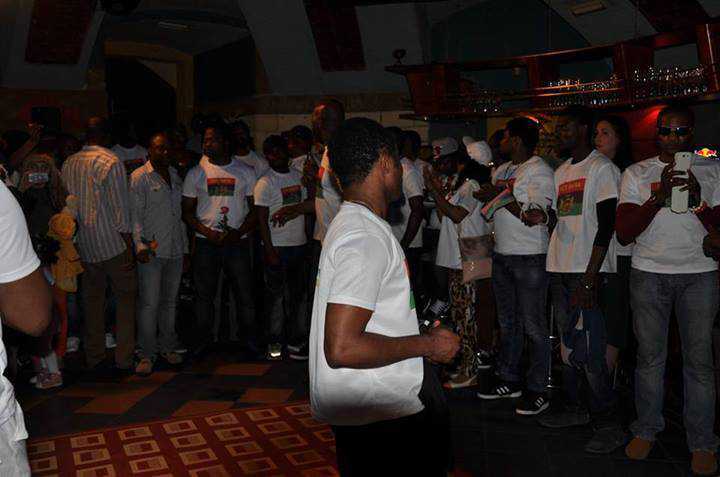 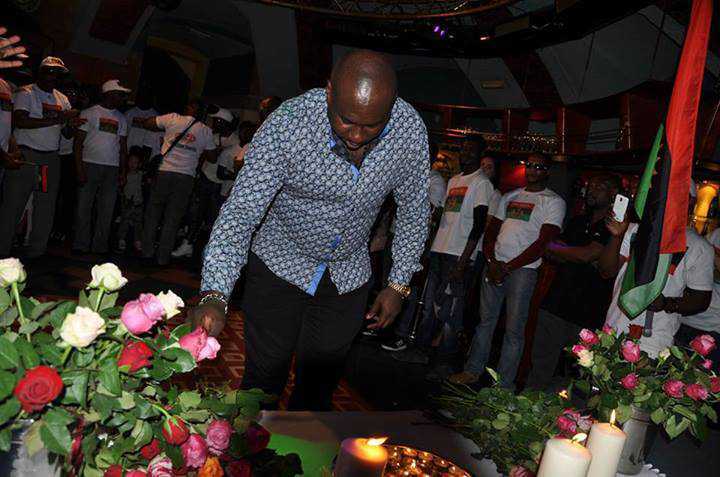 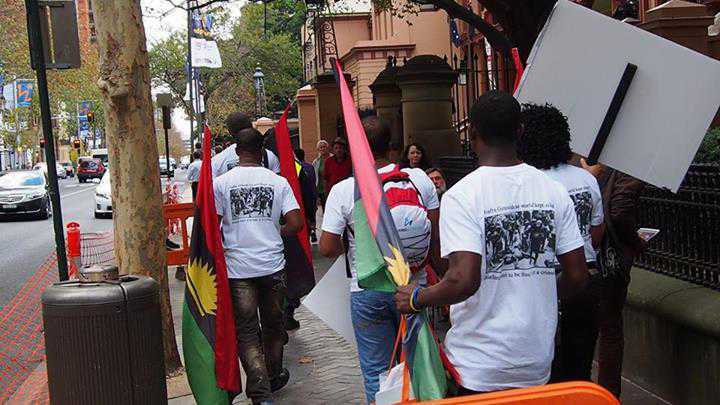 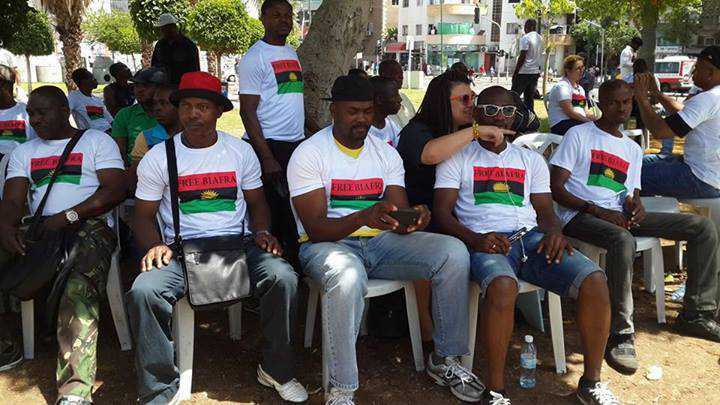 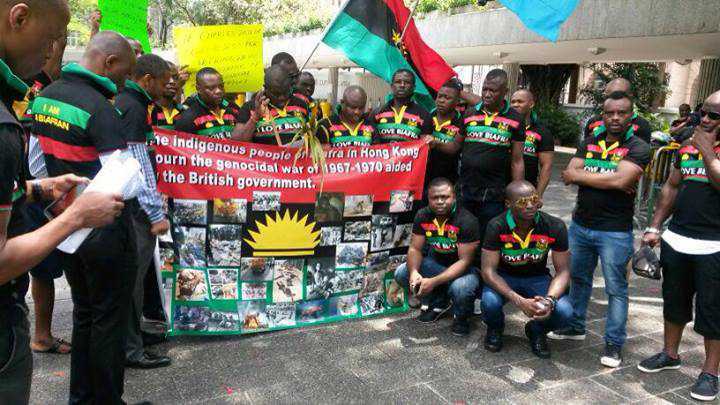 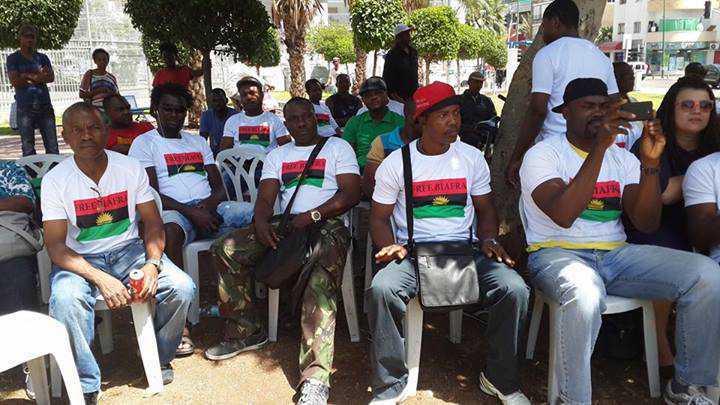 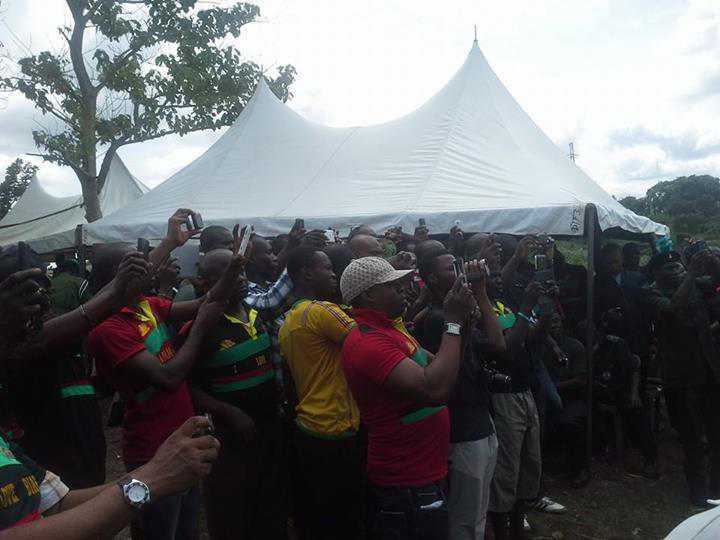 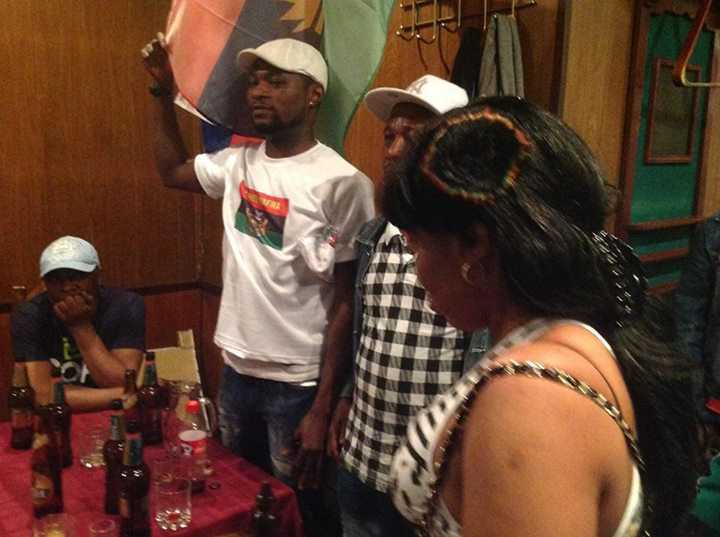 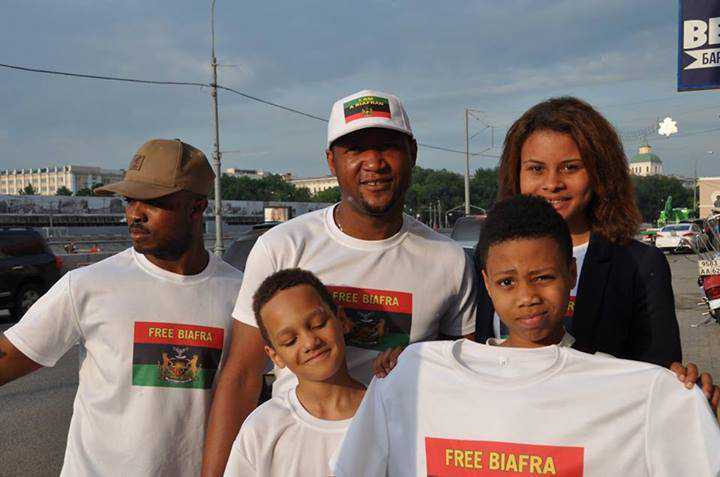 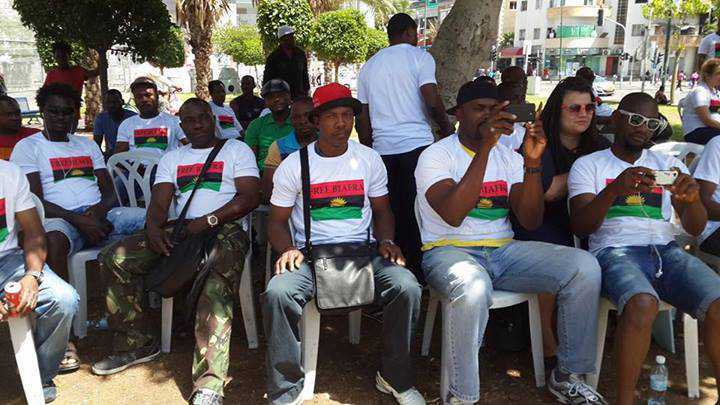 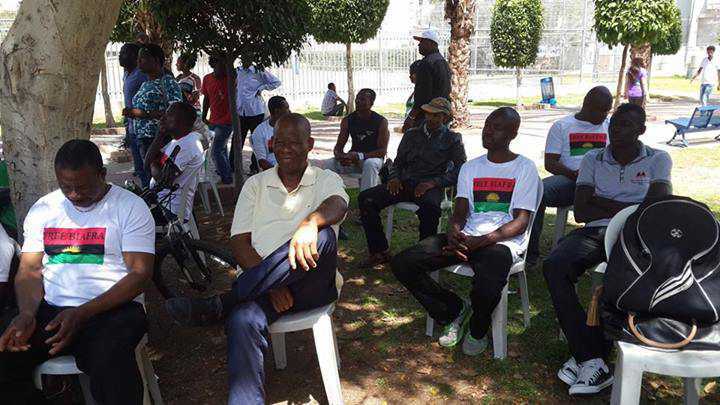 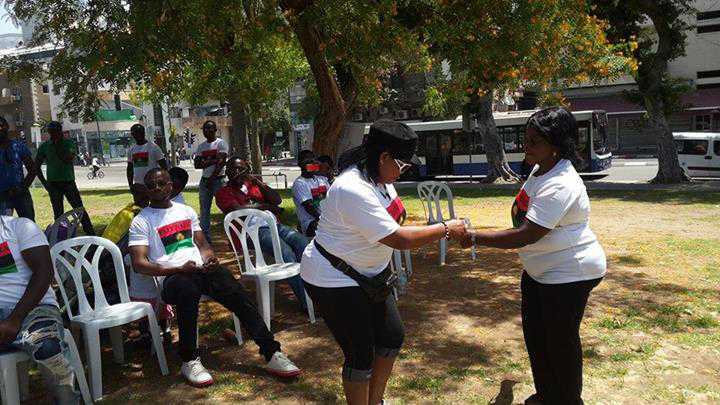 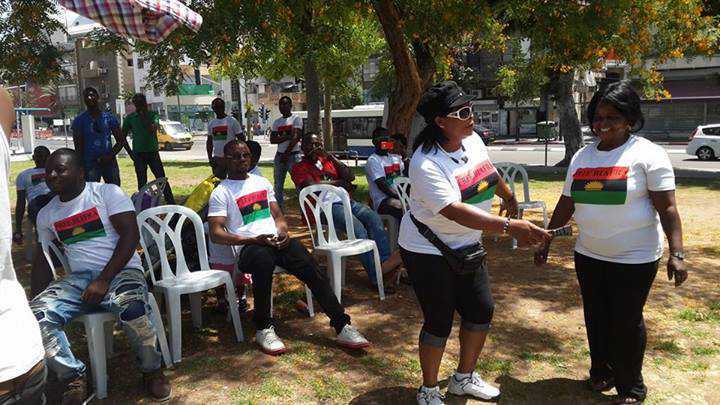 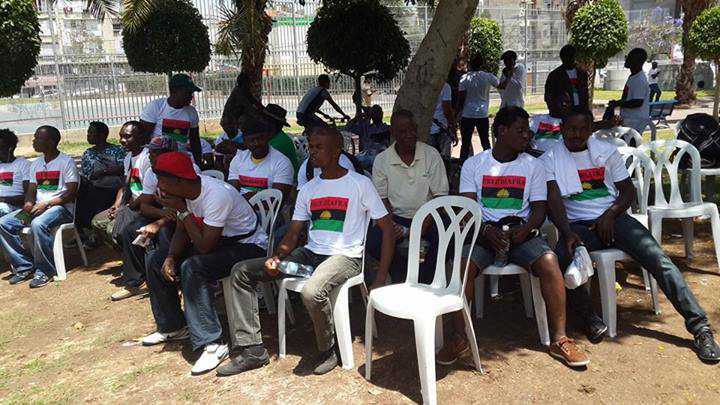 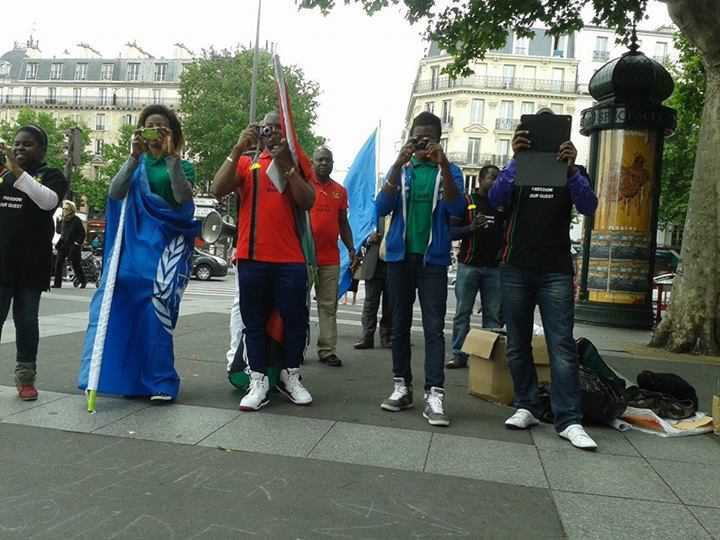 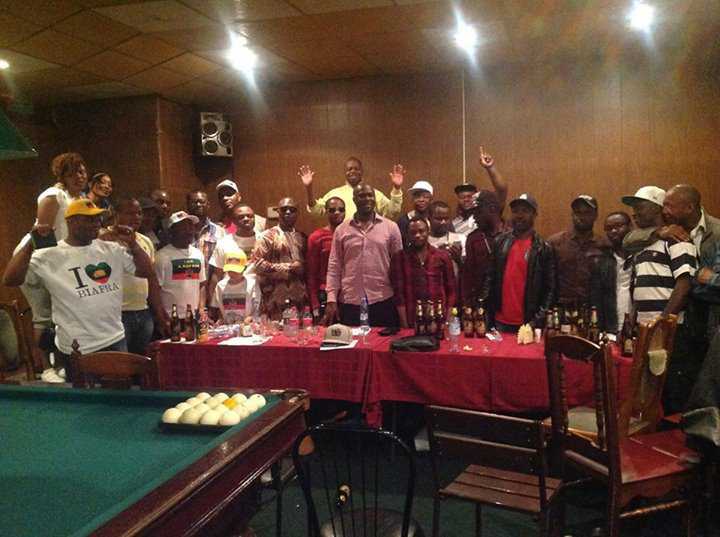 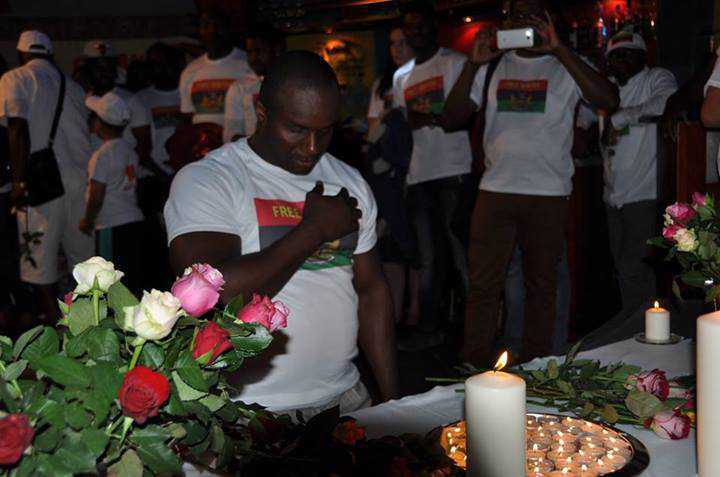 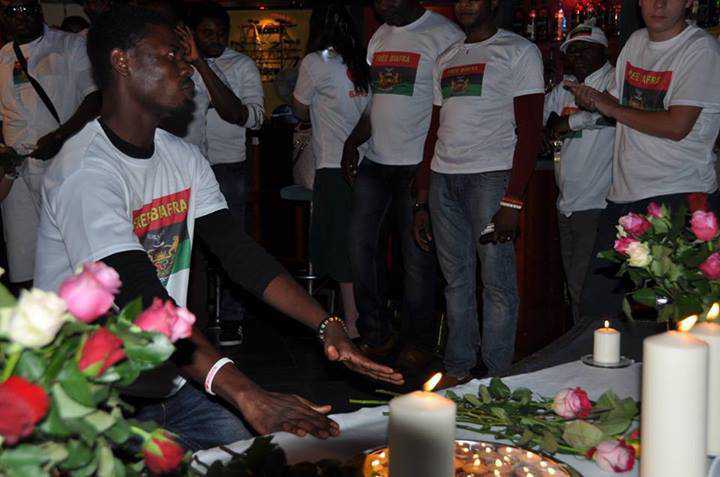 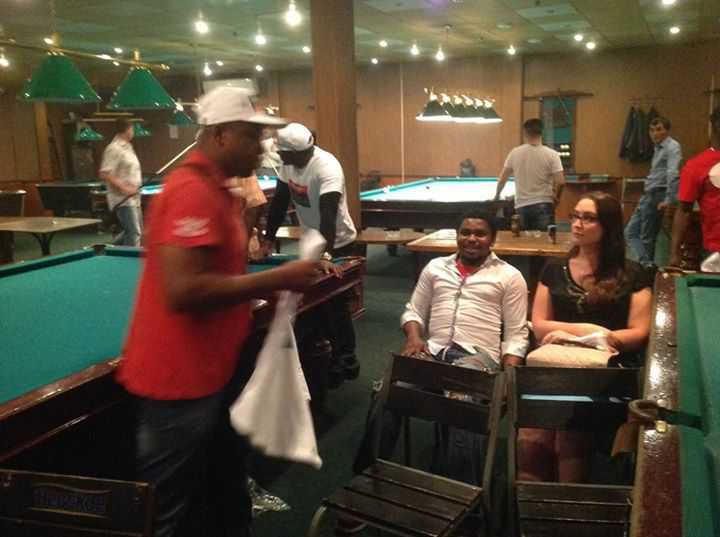 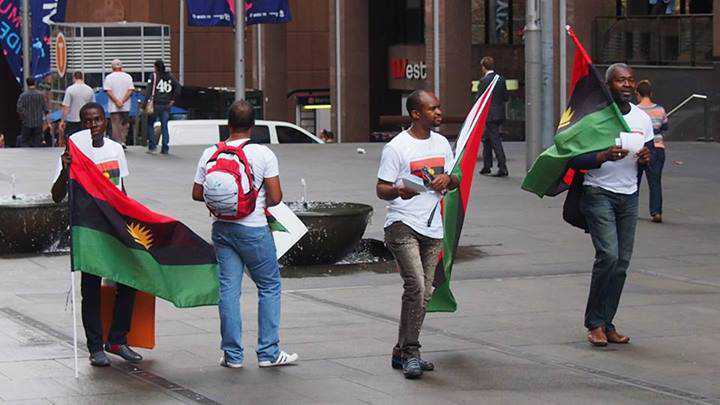 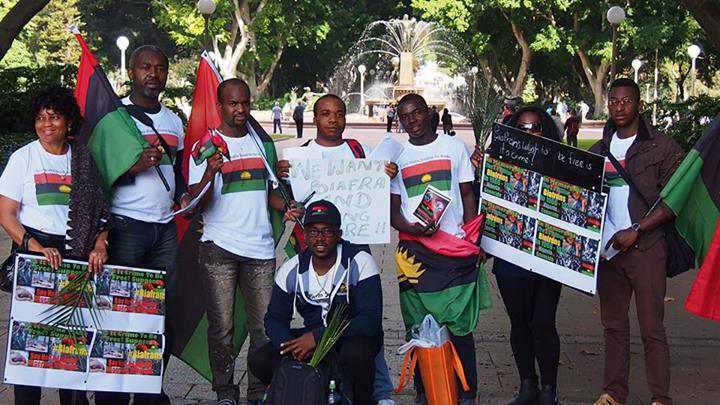 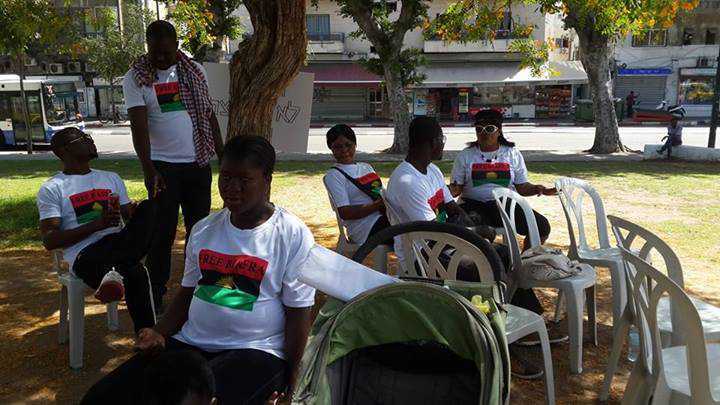 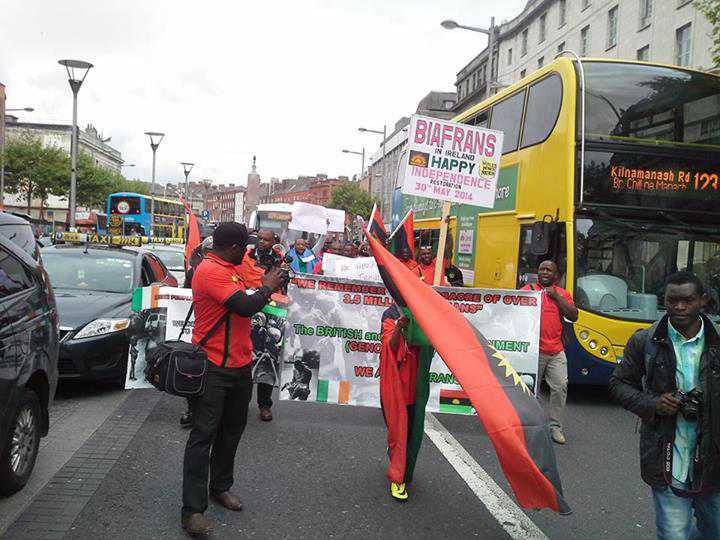 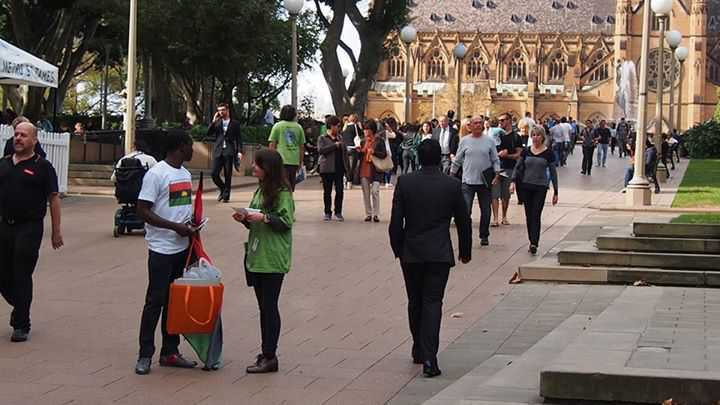 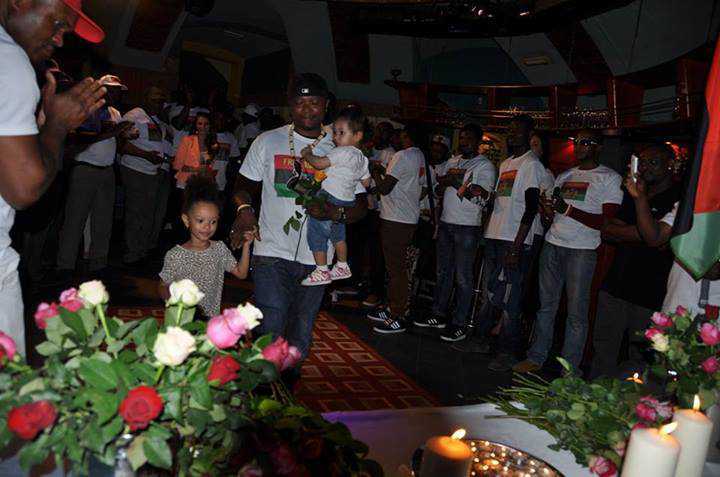 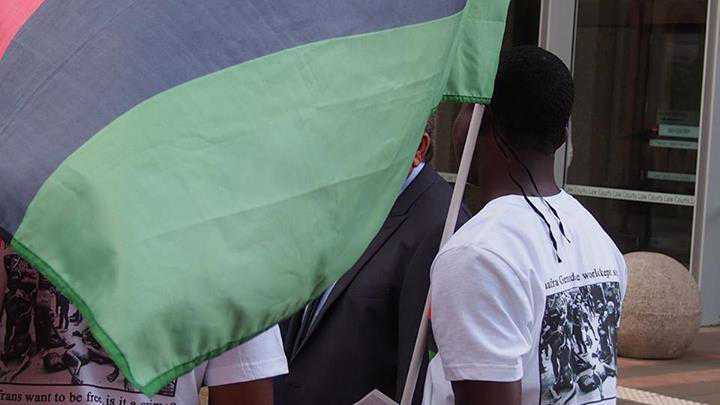 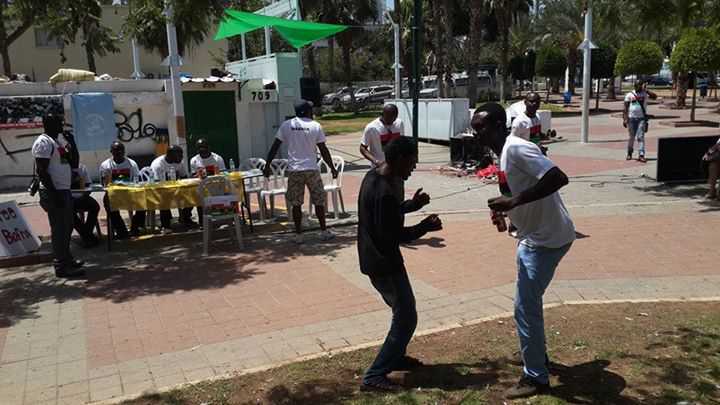 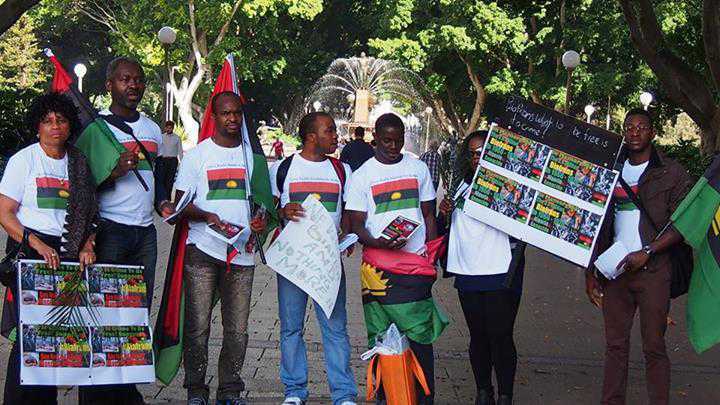 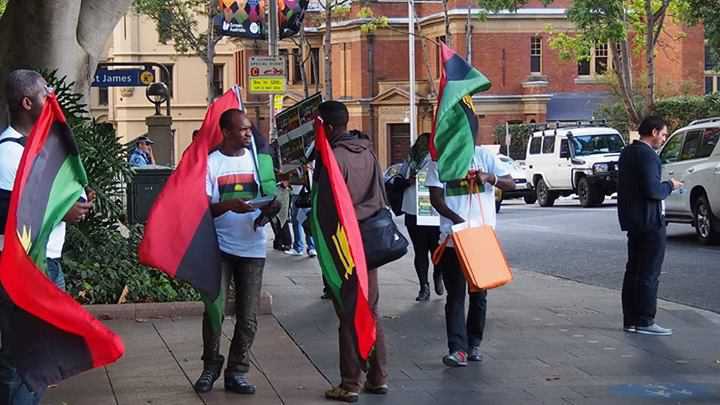 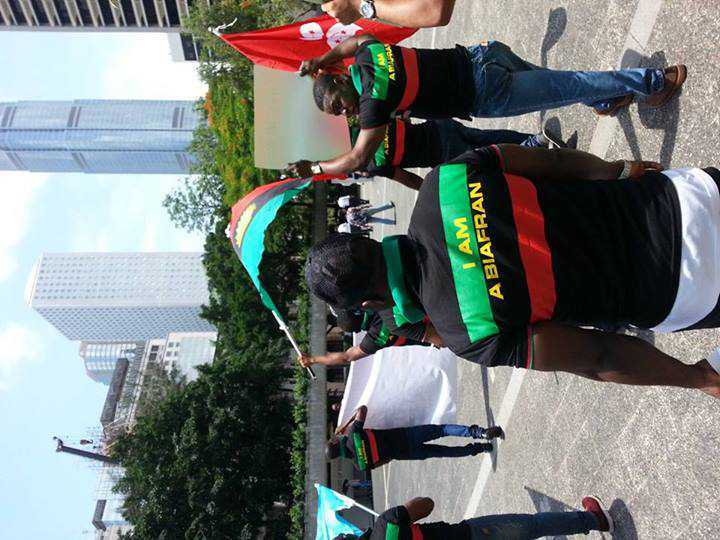 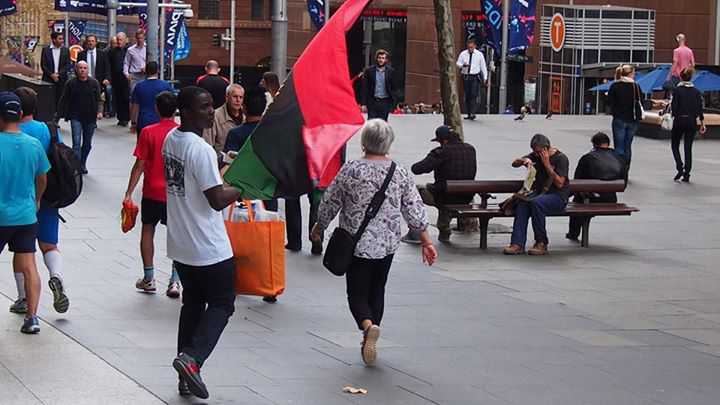 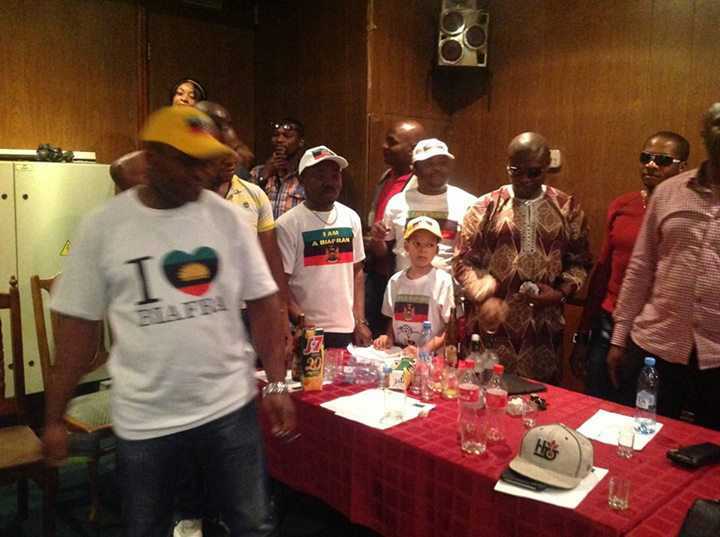 The Indigenous People of Biafra (IPOB), yesterday said the group is a transparent organisation rooted in the fanatical ideology of Biafra restoration via referendum as preached by its leader, Nnamdi Kanu. 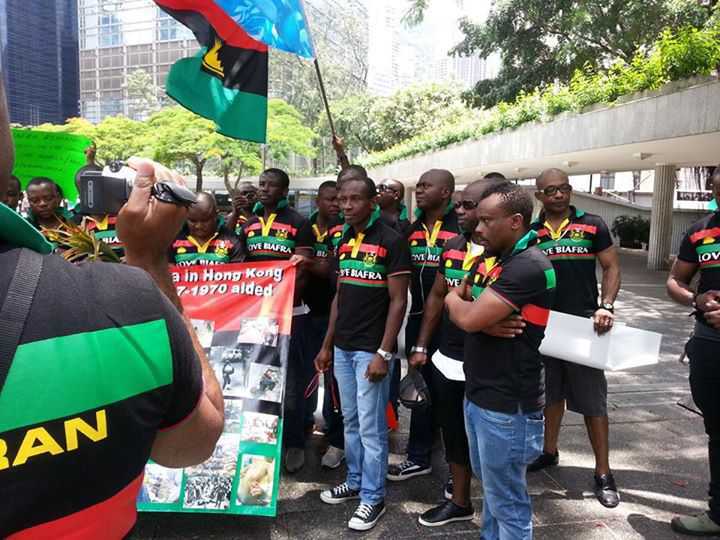 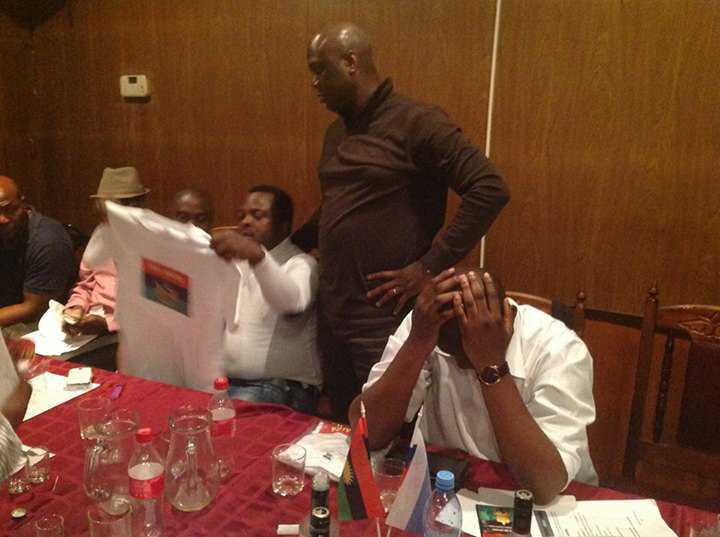 The group said IPOB is not for restructuring and can never be, as alleged in some quarters. 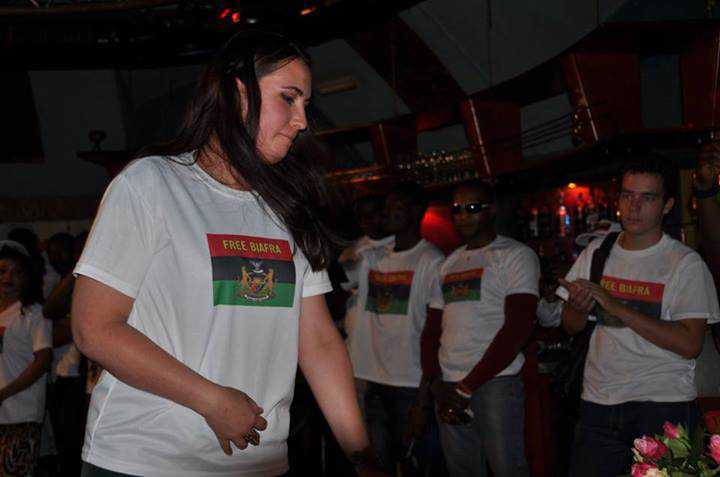 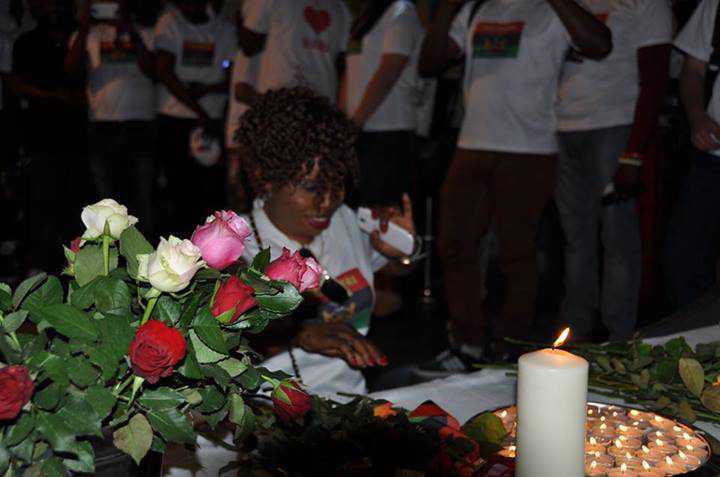 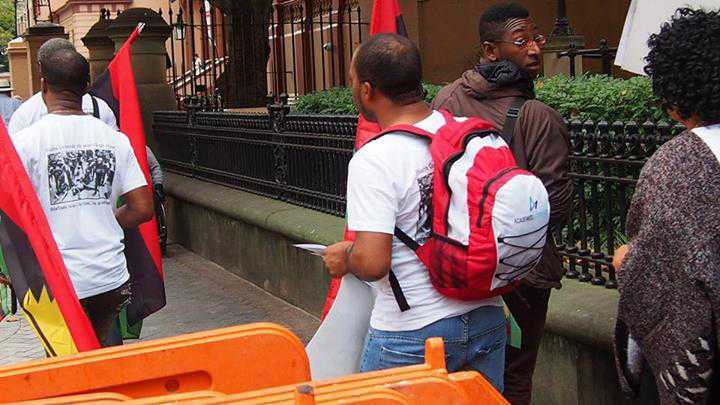 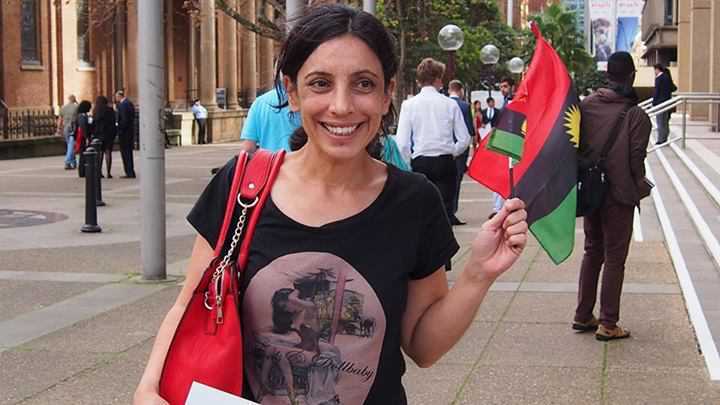 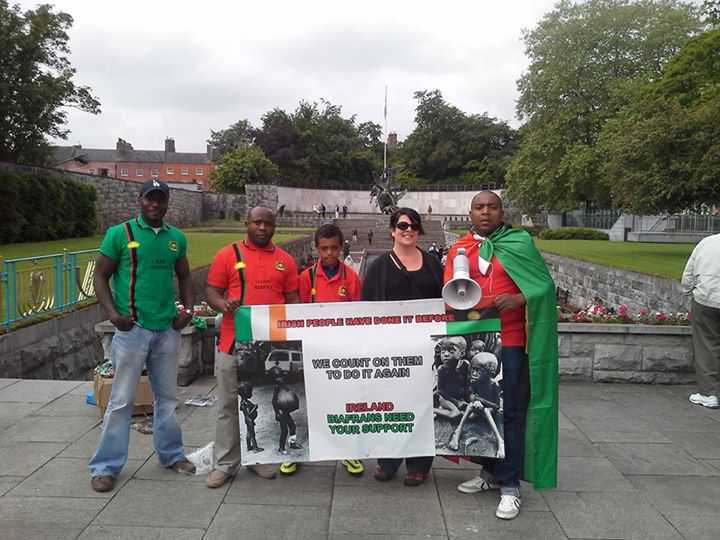 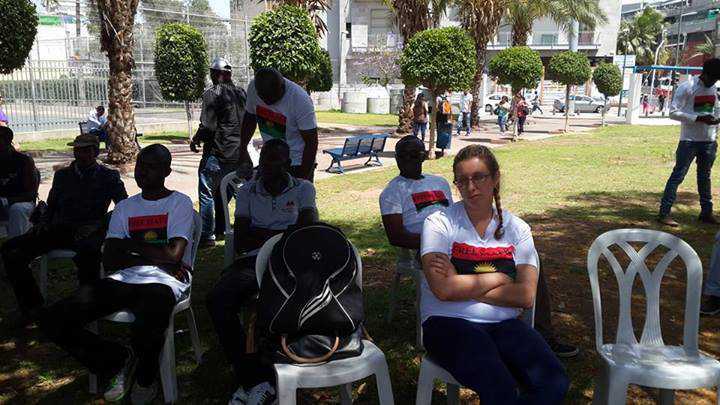 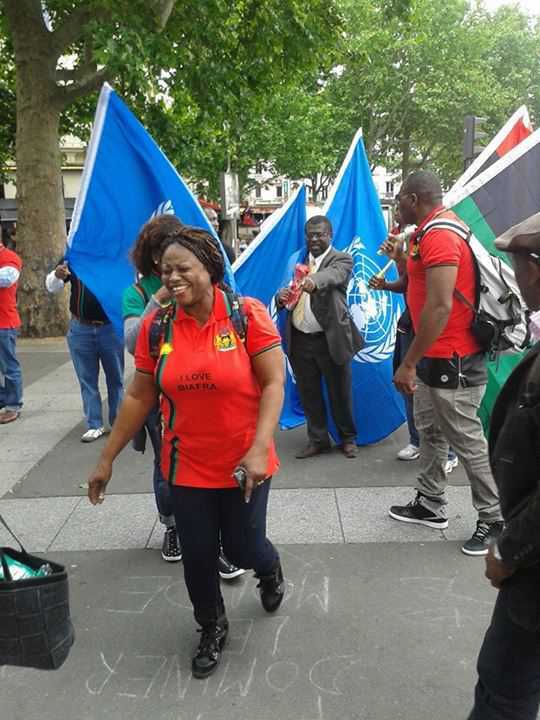 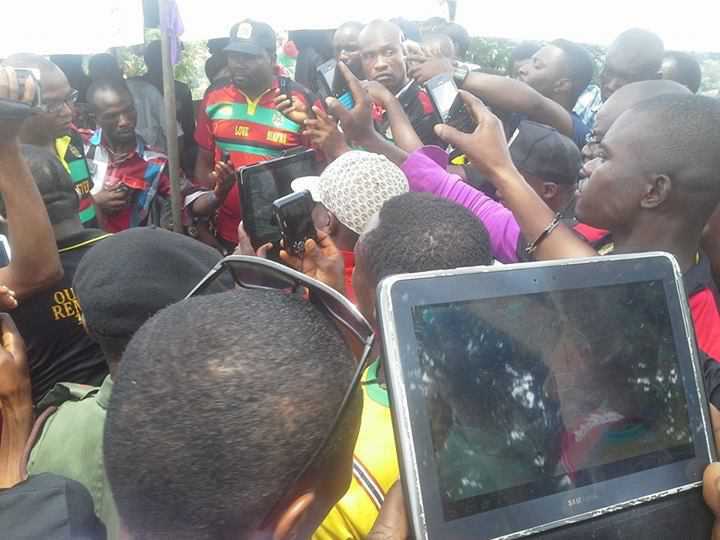 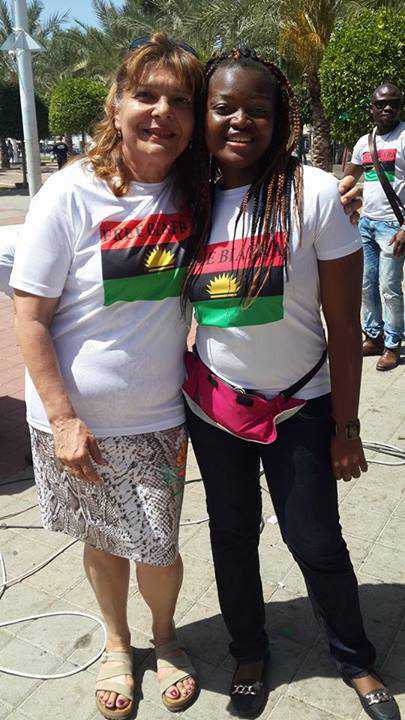 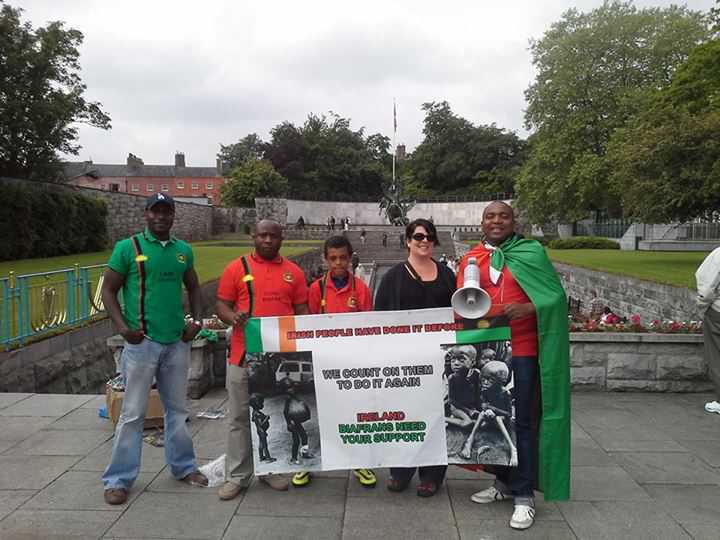 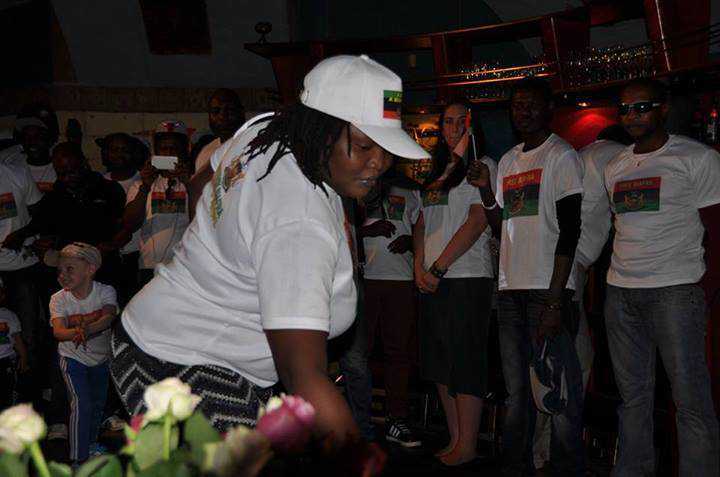 The Media and Publicity Secretary of IPOB, Emma Powerful, while reacting to a report credited to the leader of Biafra Zoinist, Benjamin Onwuka alleging that IPOB has been bought over to accept restructuring against the struggle for restoration of Biafra, said IPOB still remains in the forefront of the struggle for Biafra, more than those who claim to be what they are not in the struggle. 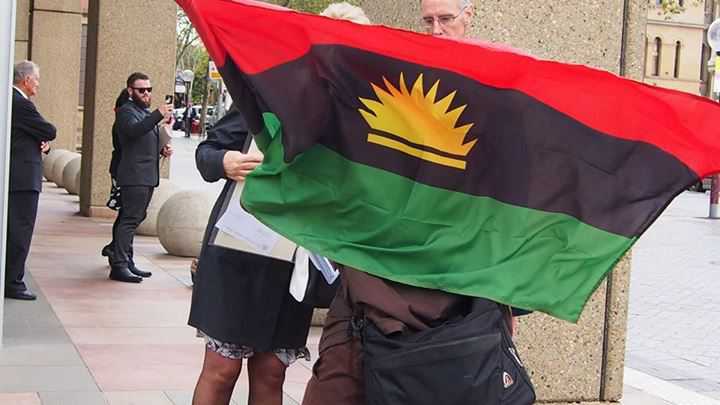 Powerful said the civil disobedience approach would continue until Biafra is restored, saying no man, government harassment, intimidation, arrest, can stop it from the pursuit of referendum for Biafraexit. 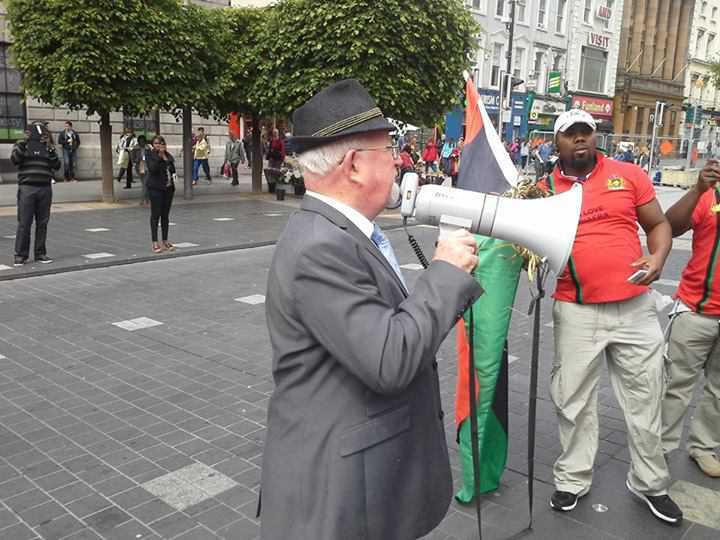 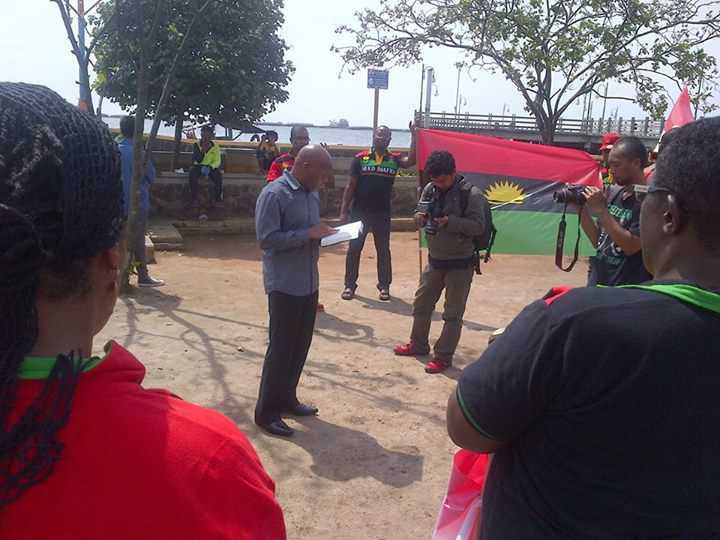 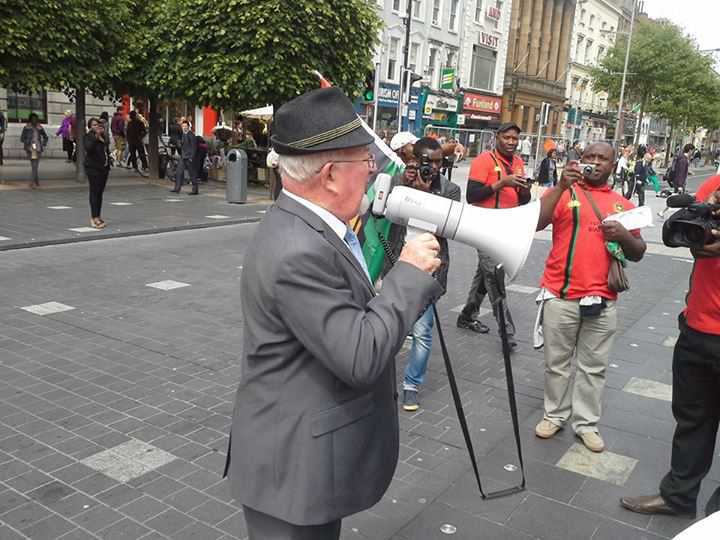 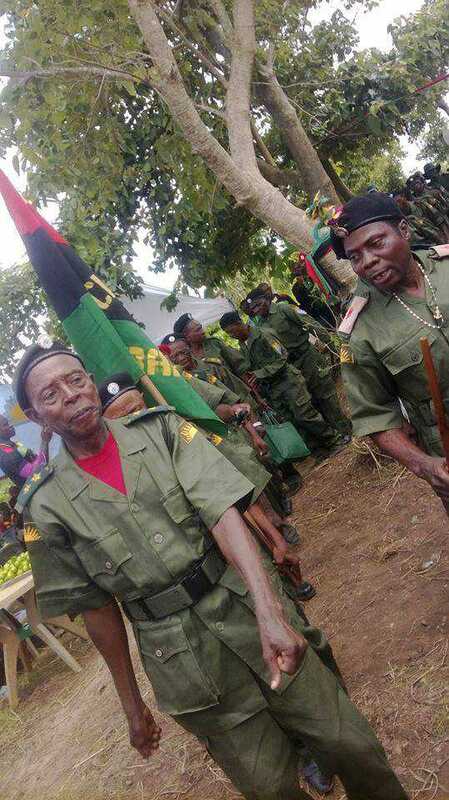 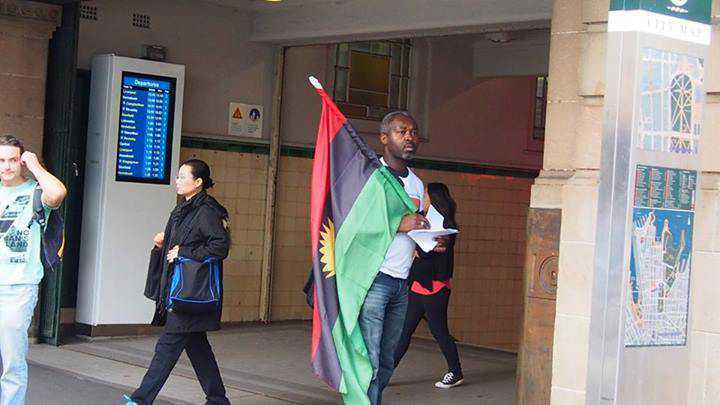 He said: “Agents of Nigerian security agencies, hiding under the cloak of pro-Biafra group or groups are too impetuous, ignorant and naive to understand what is happening between IPOB and Ohanaeze Ndigbo. 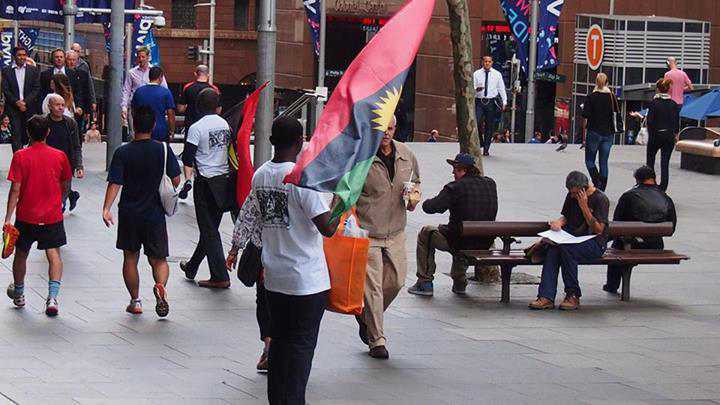 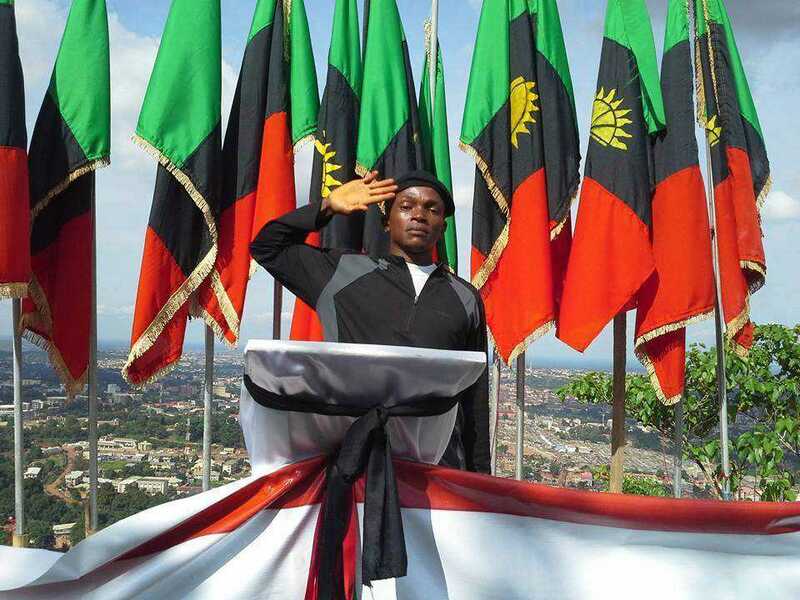 “At the end of the dialogue between us, Ohanaeze Ndigbo will either live up to its obligations of rigorous defence of Igbo- Biafra interest or be rendered impotent and irrelevant. 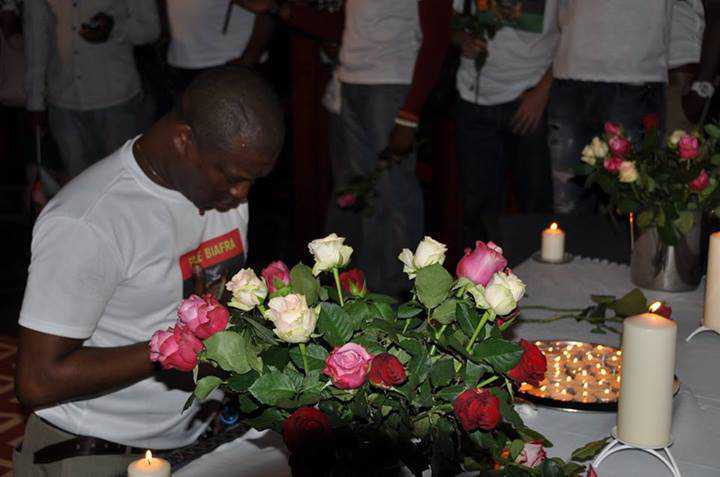 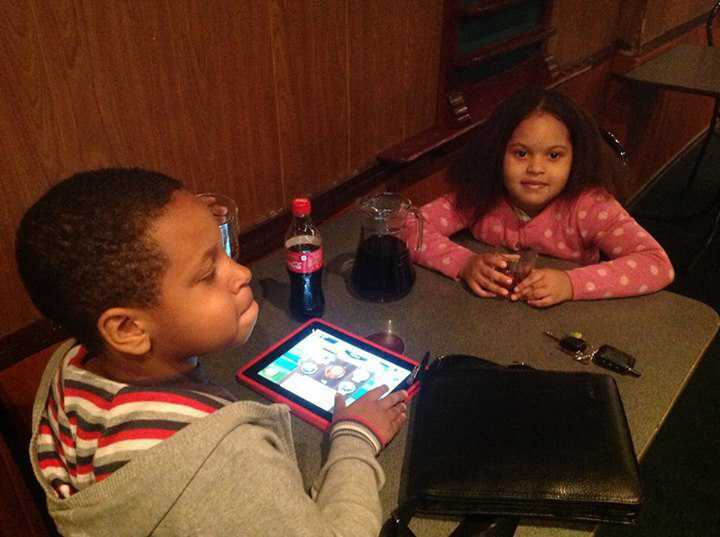 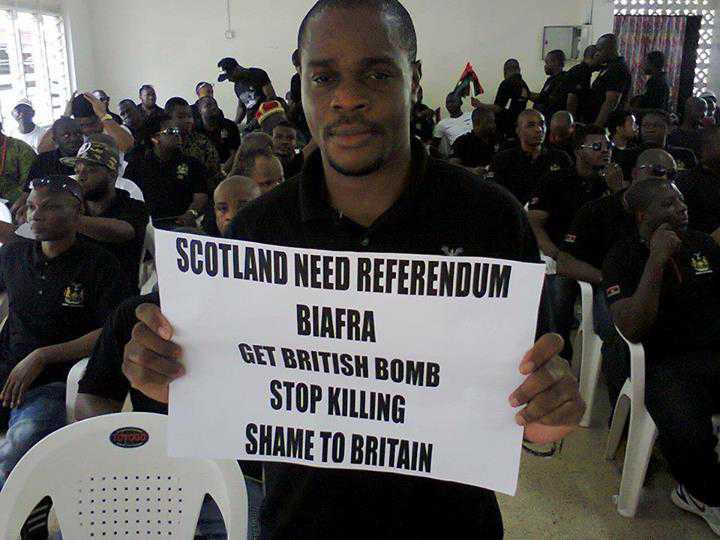 Those are the two choices confronting them. 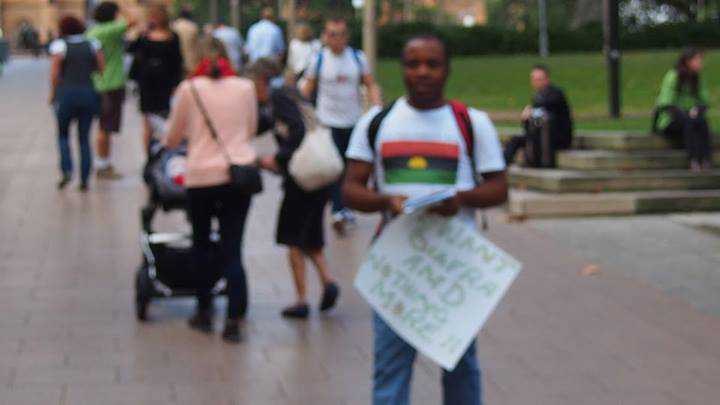 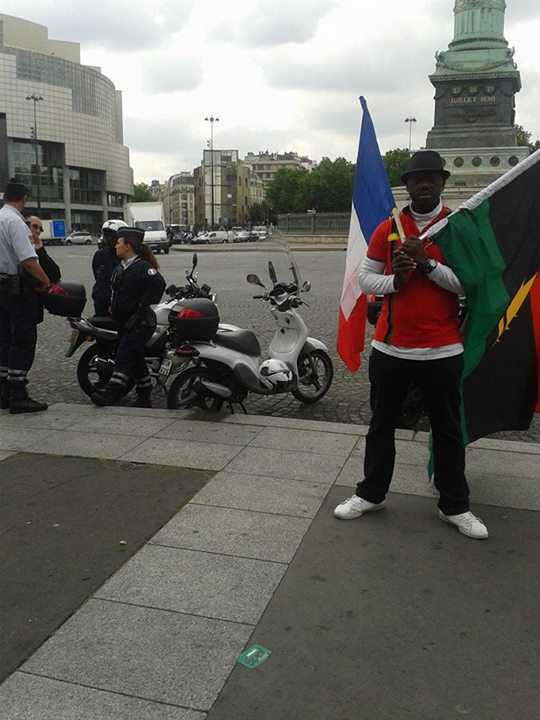 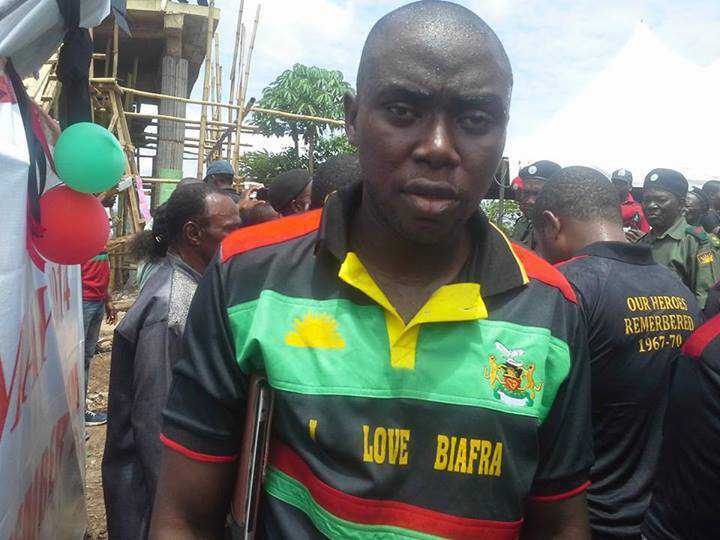 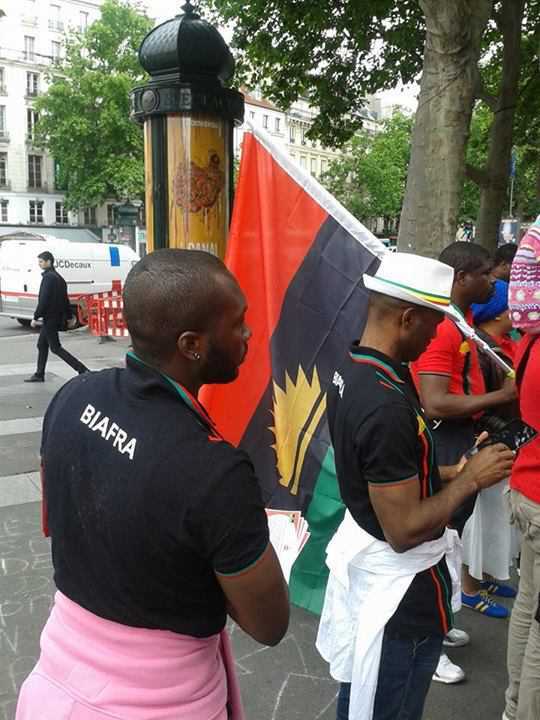 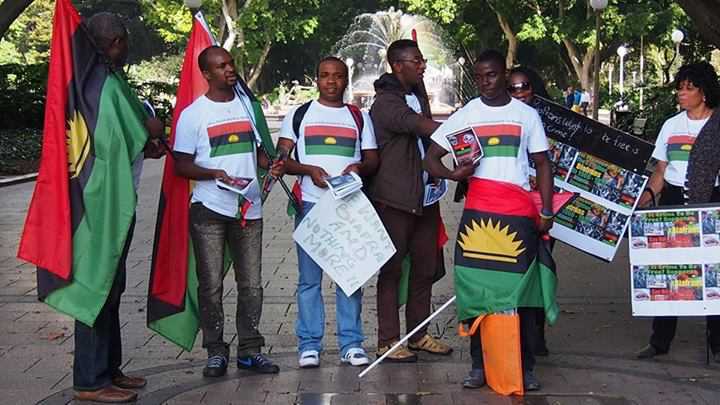 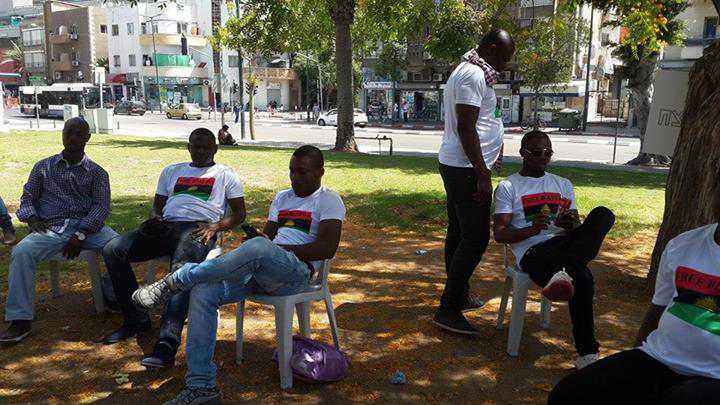 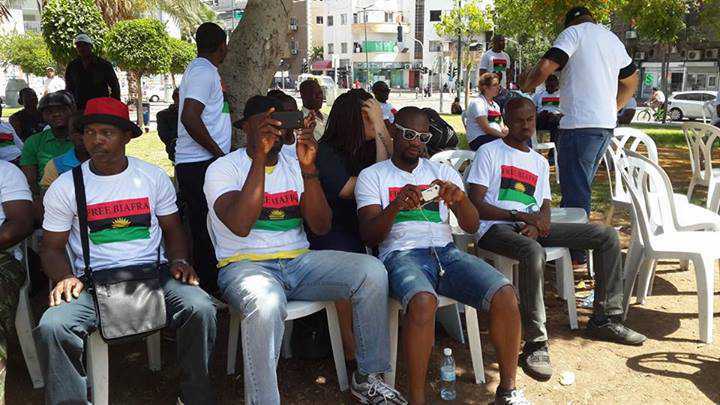 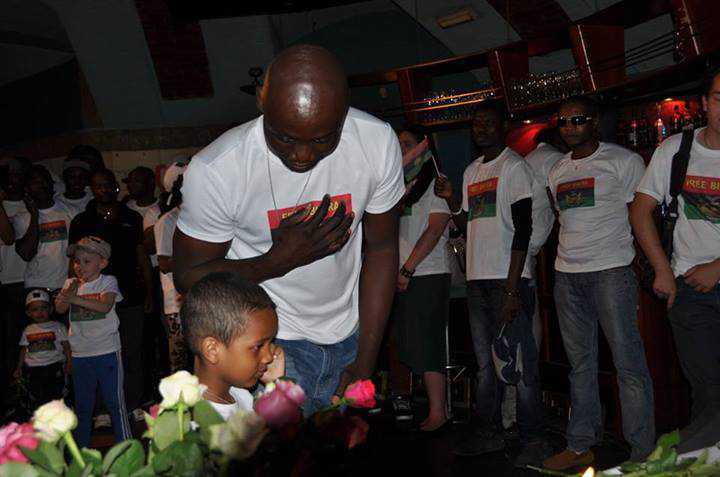 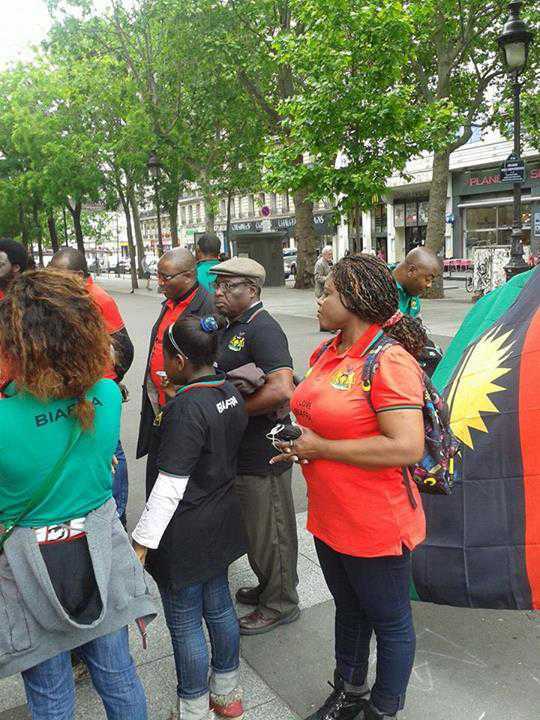 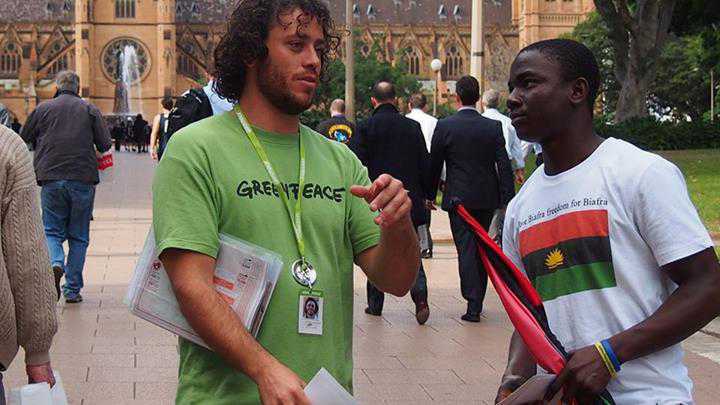 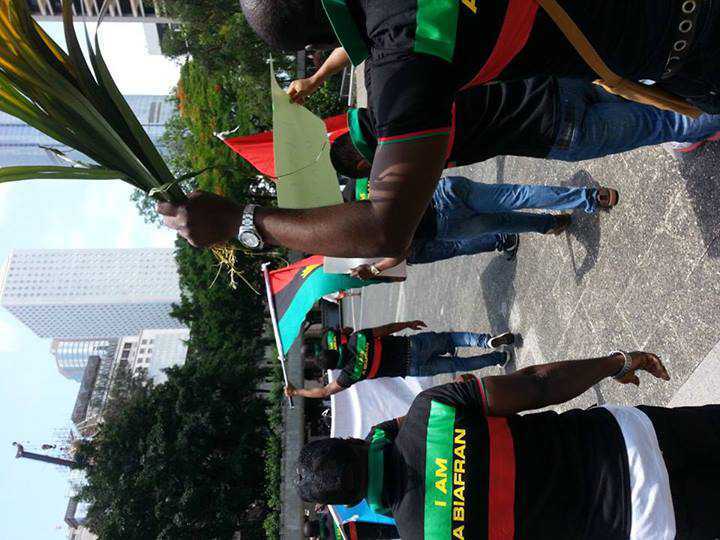 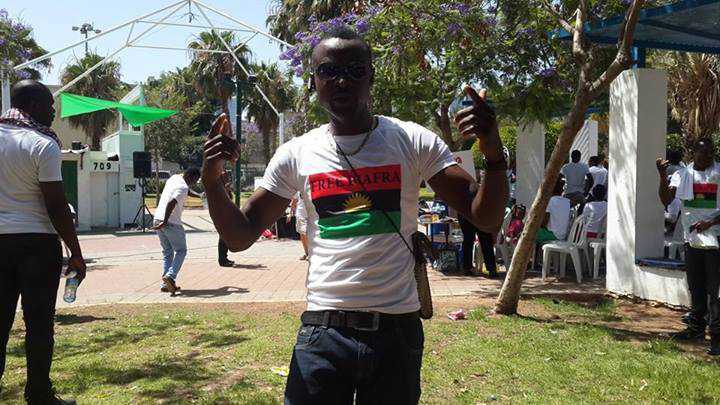 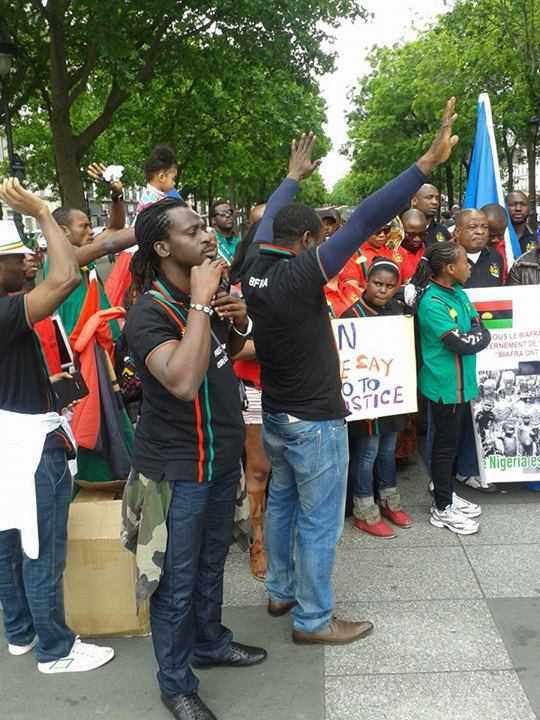 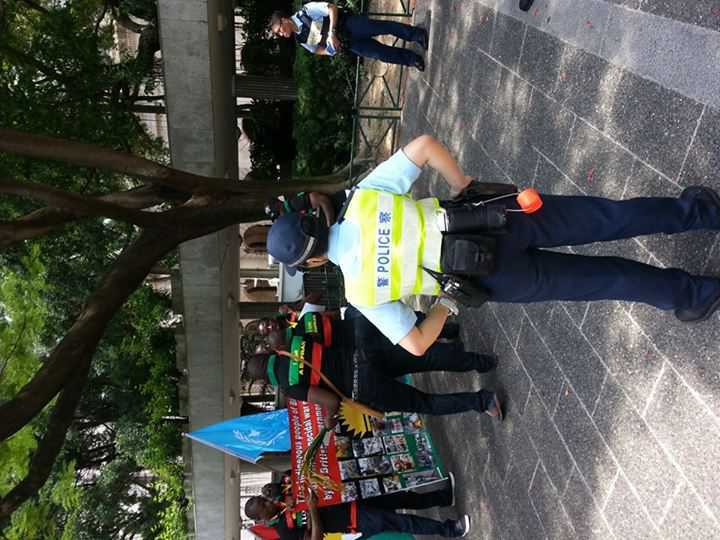 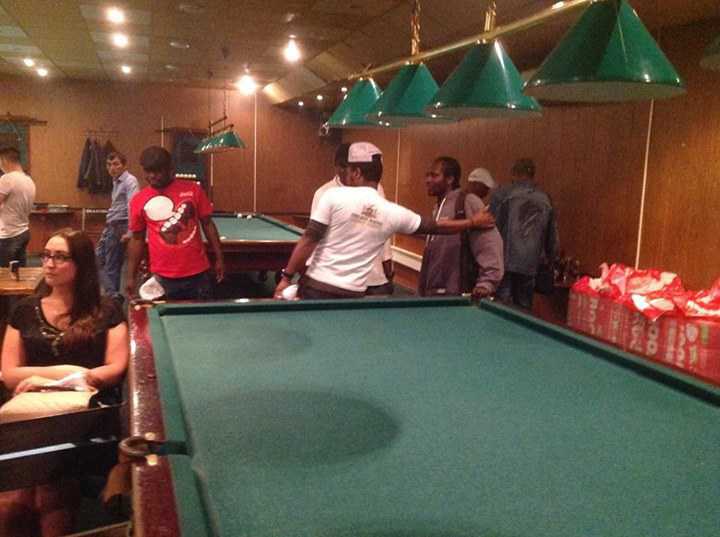 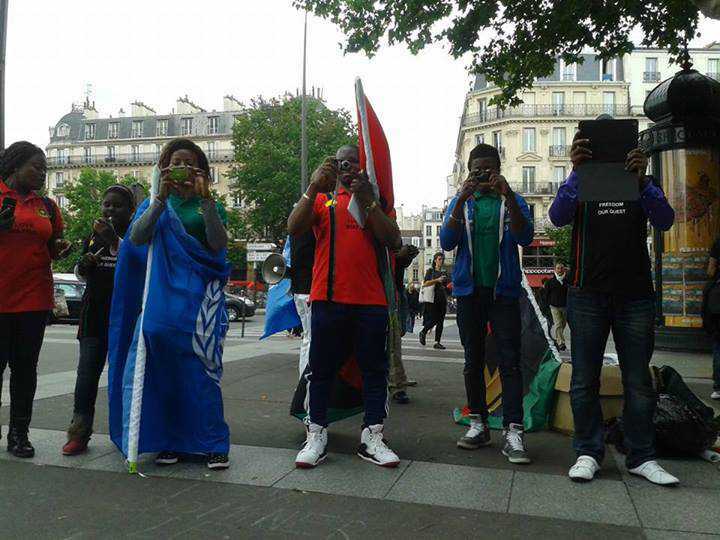 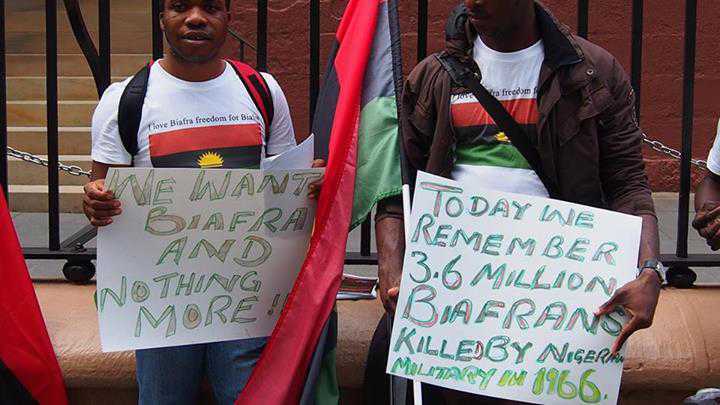 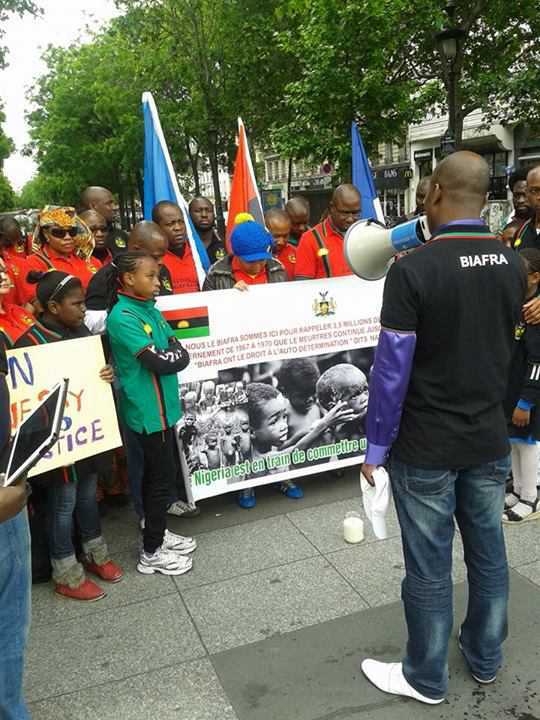 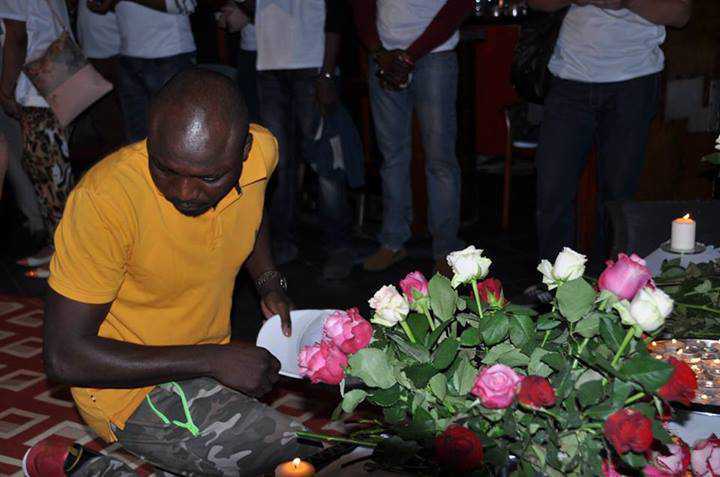 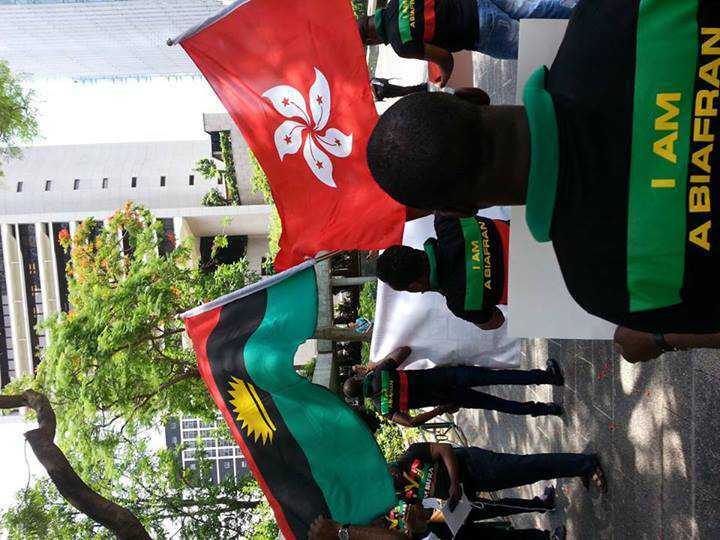 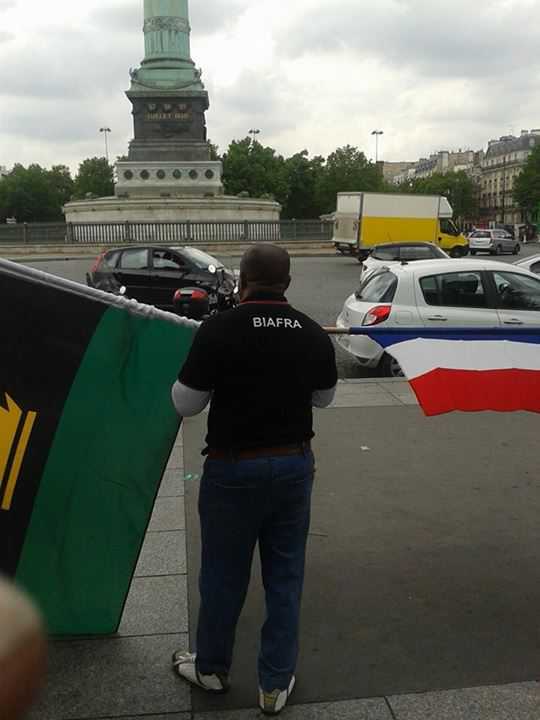 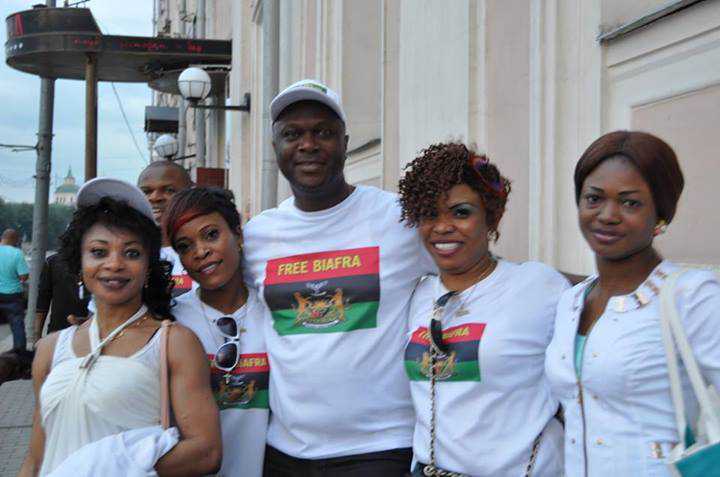 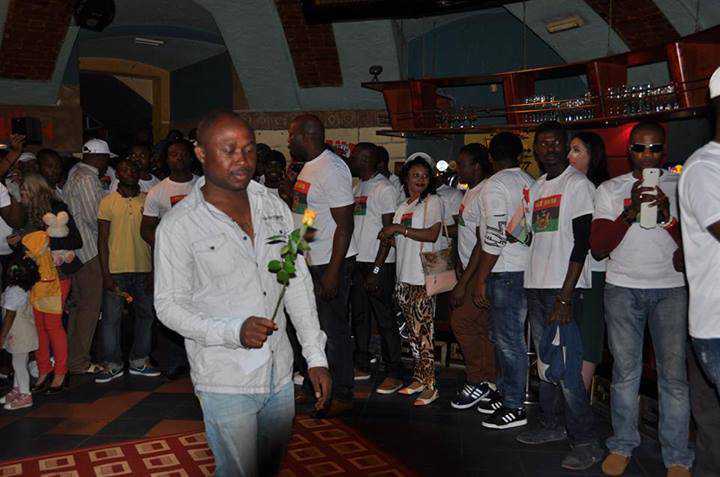 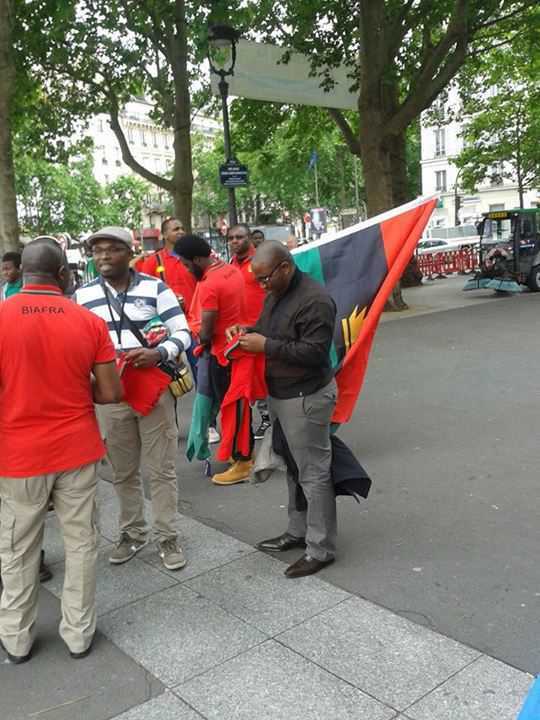 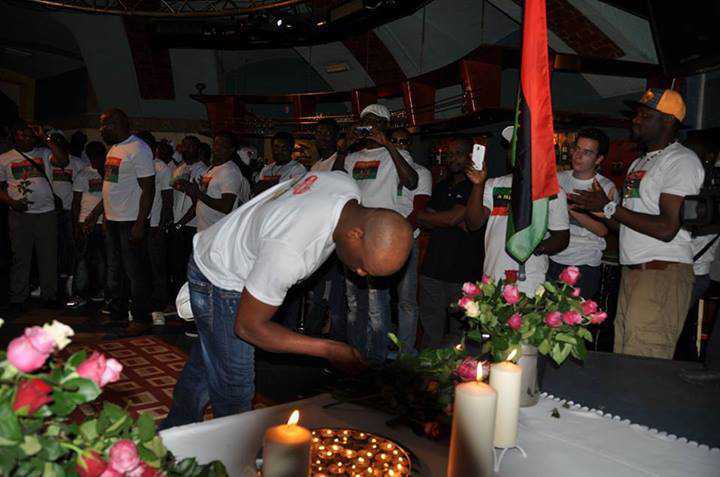 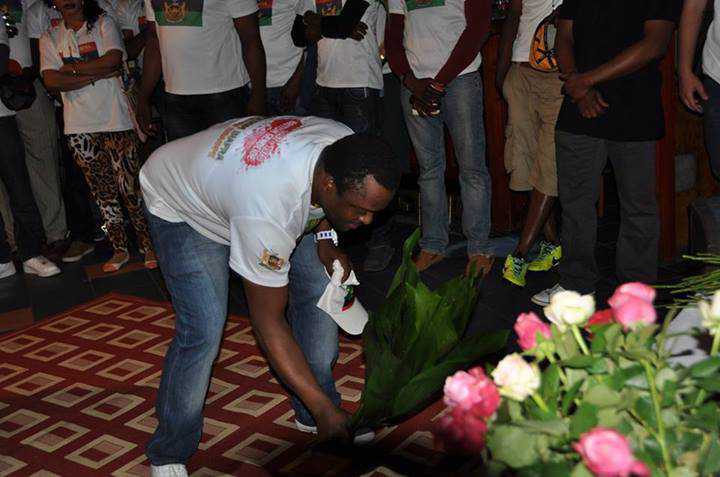 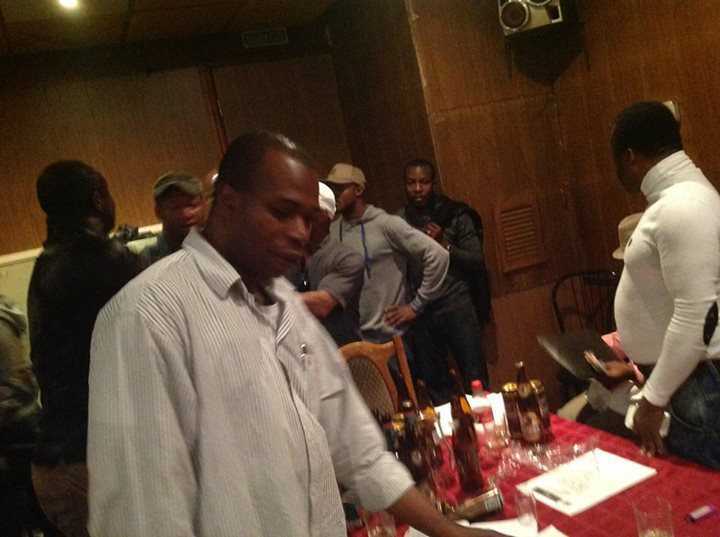 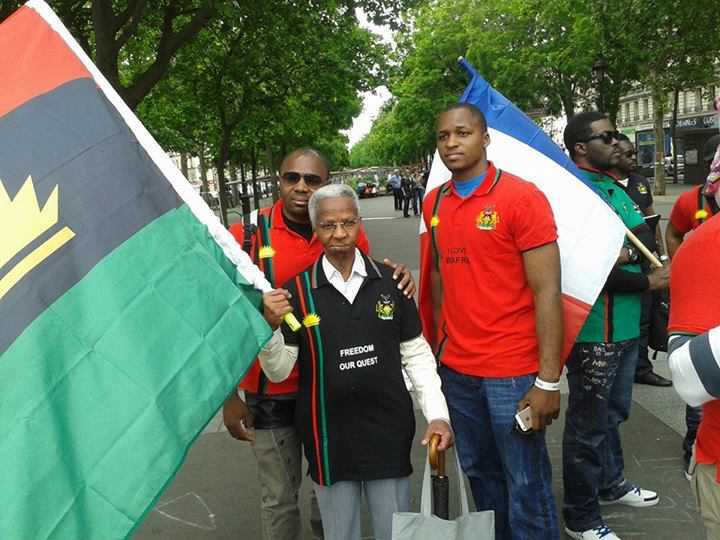 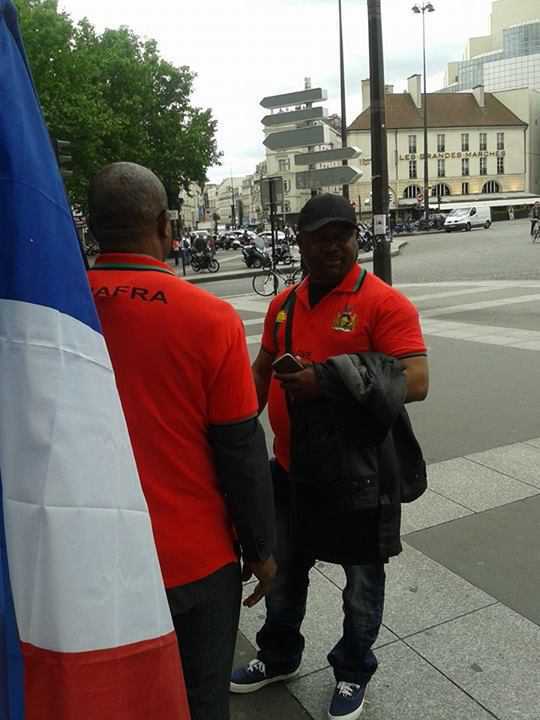 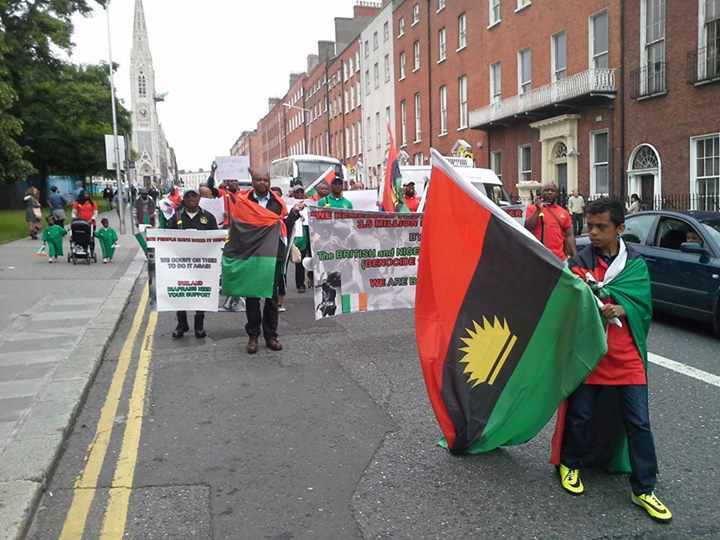 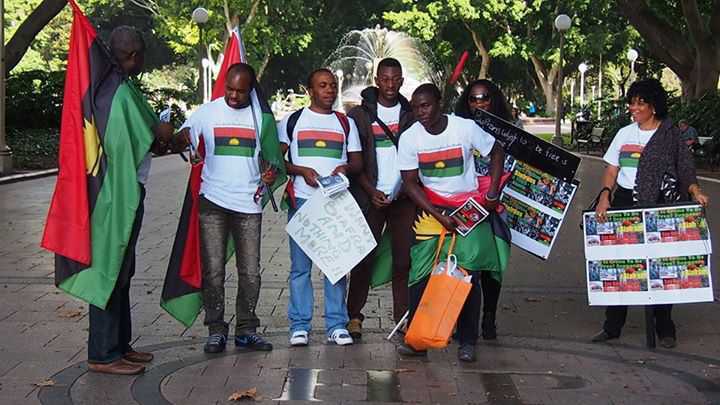 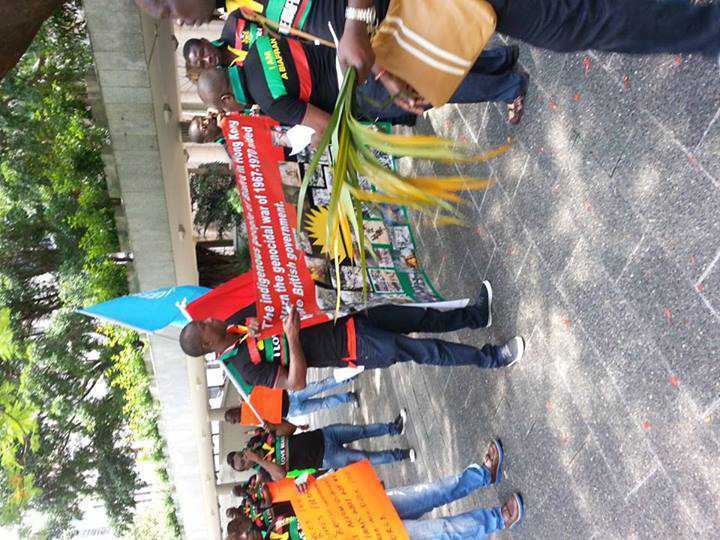 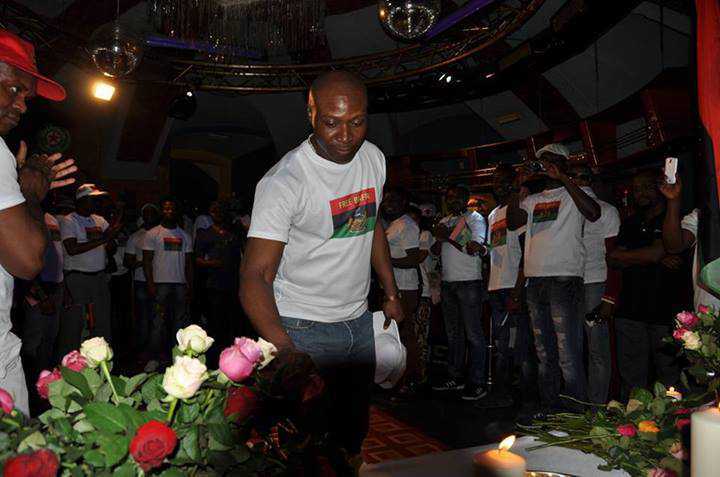 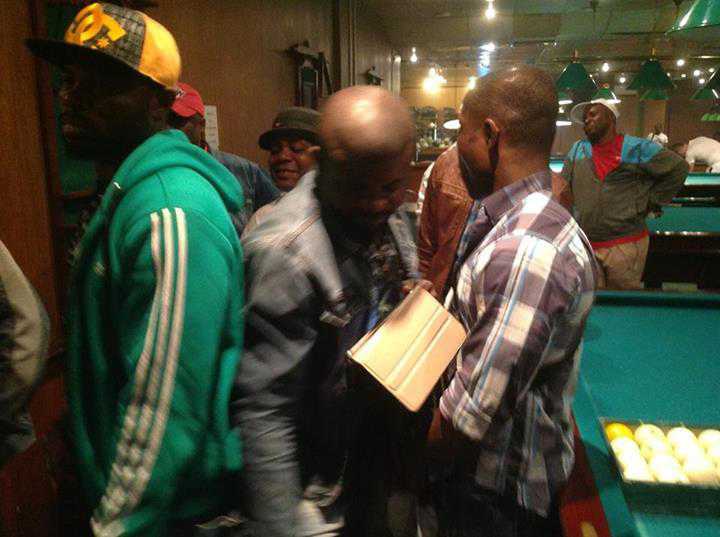 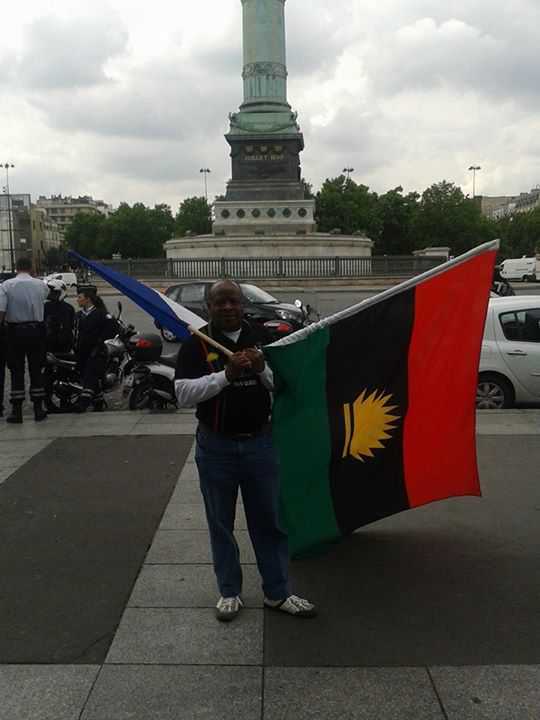 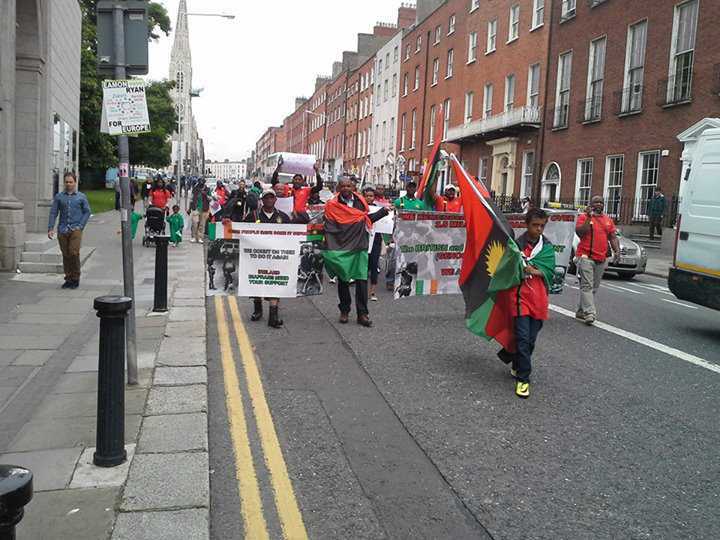 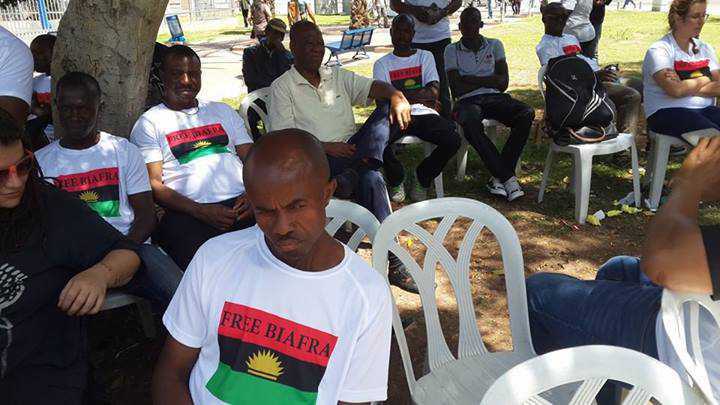 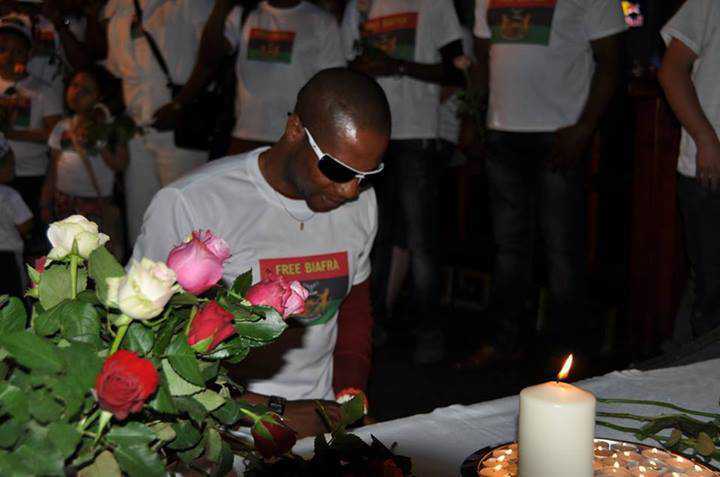 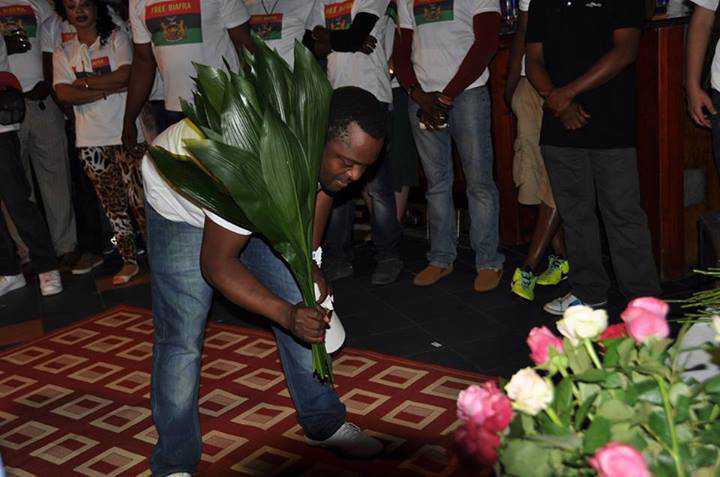 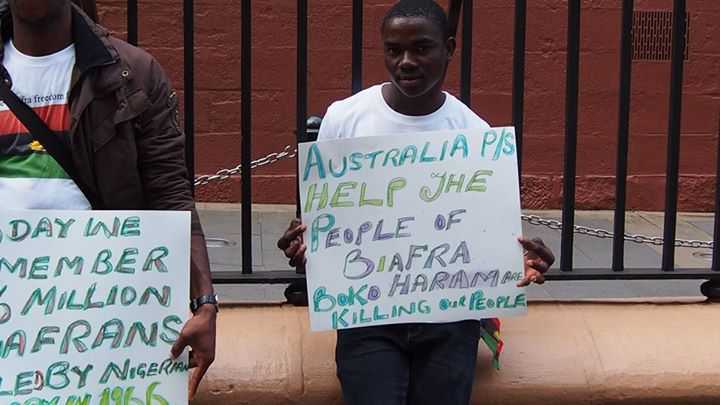 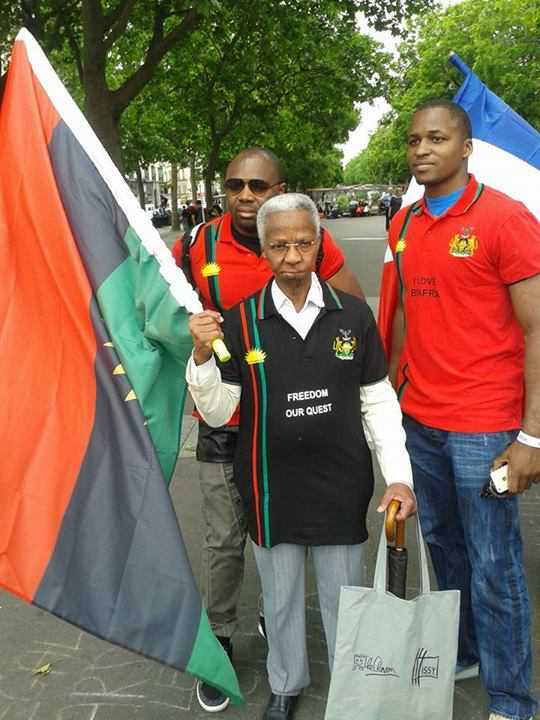 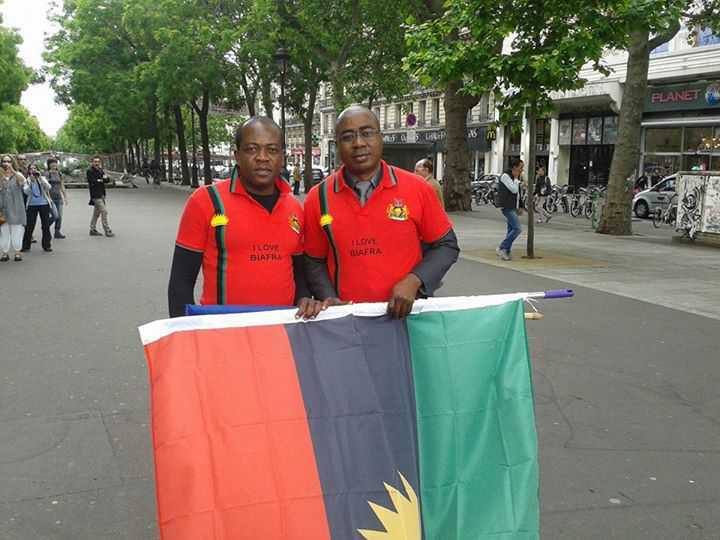 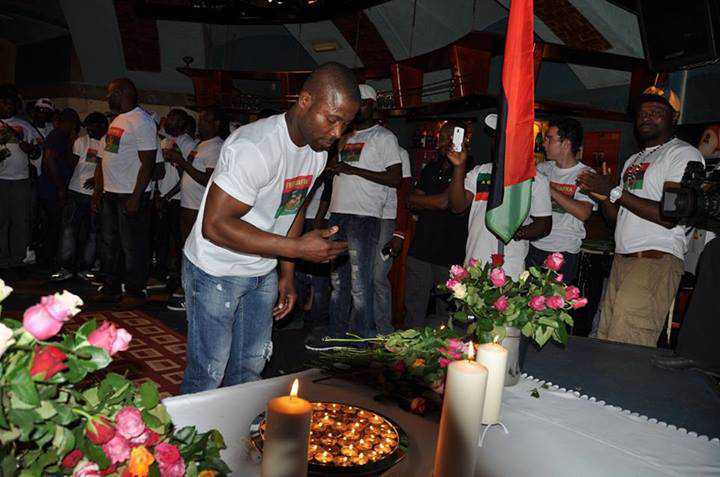 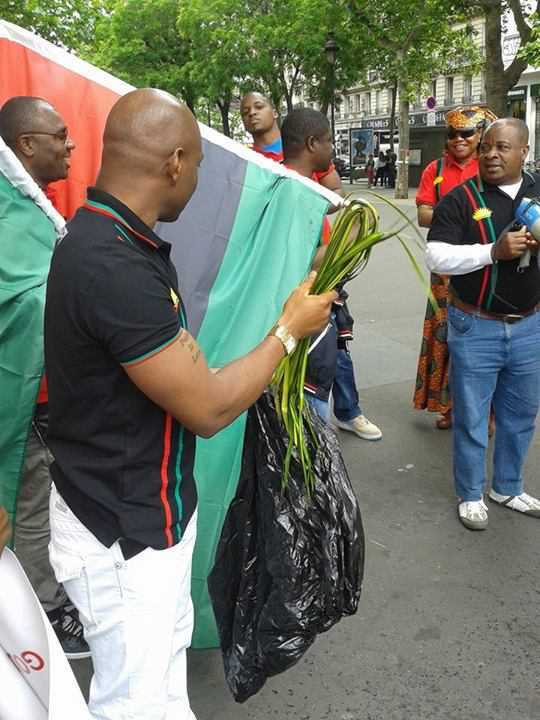 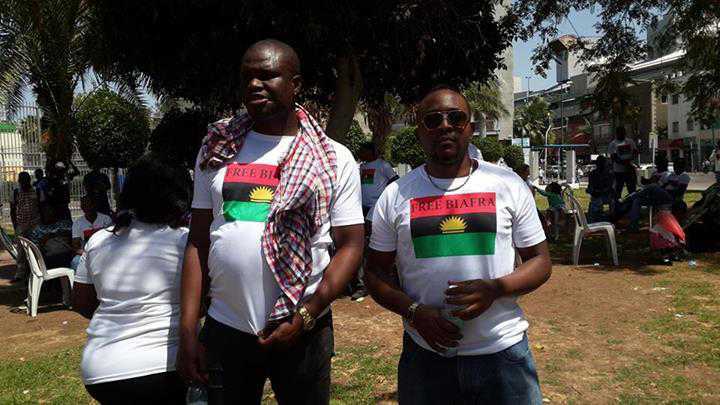 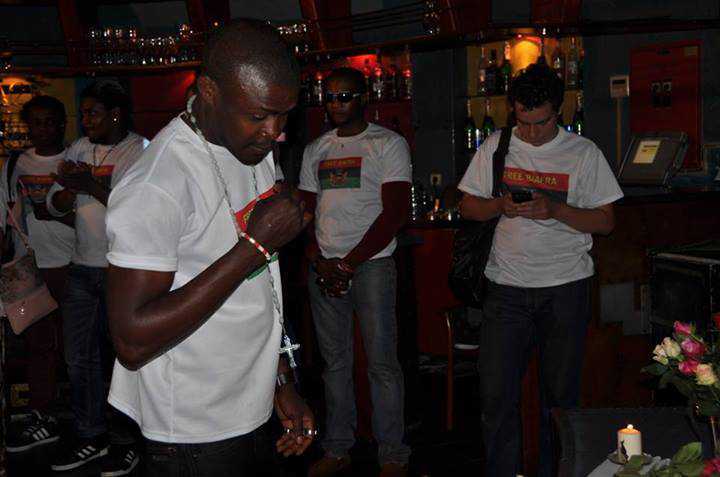 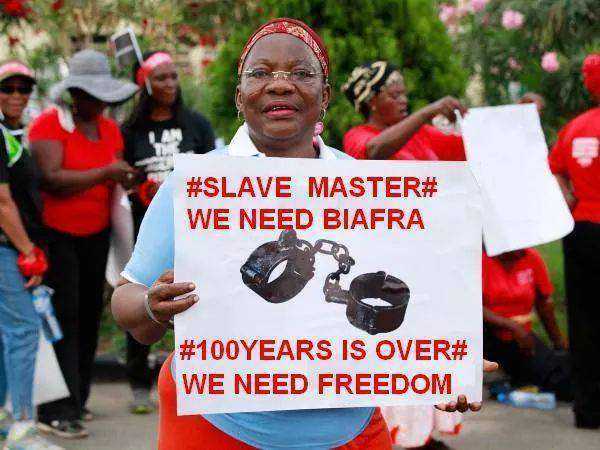 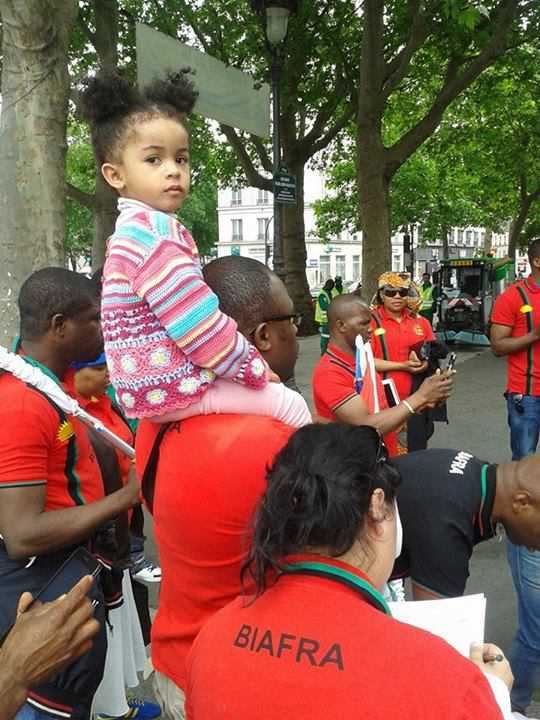 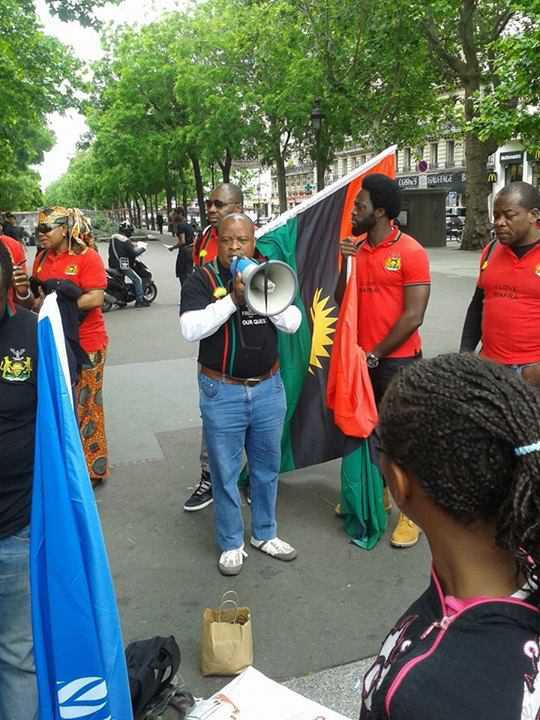 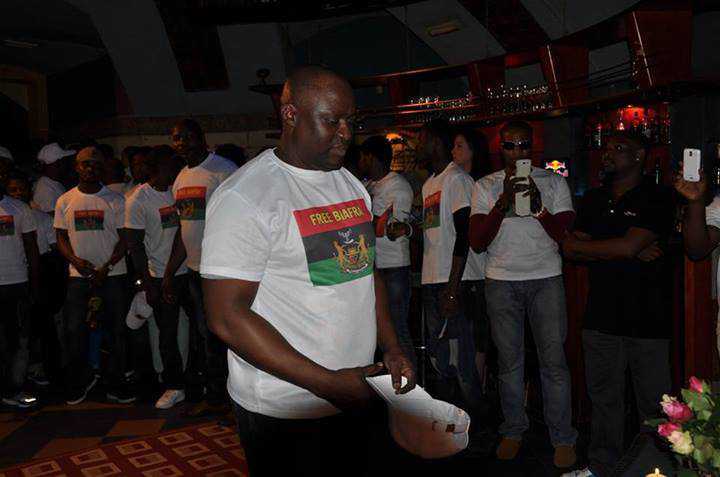 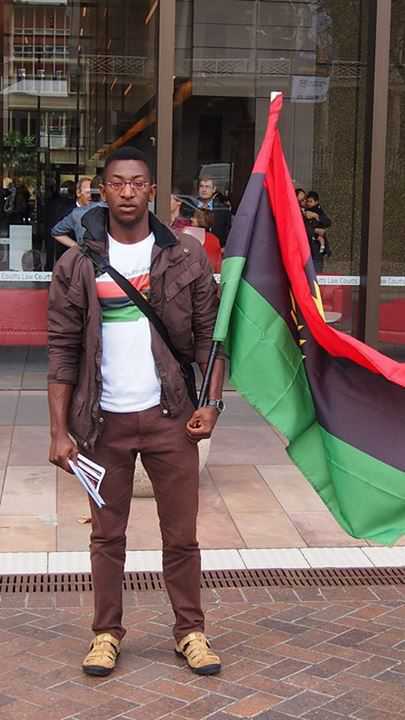 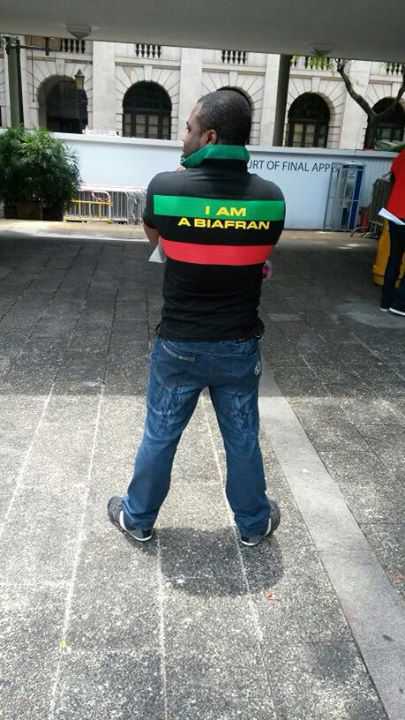 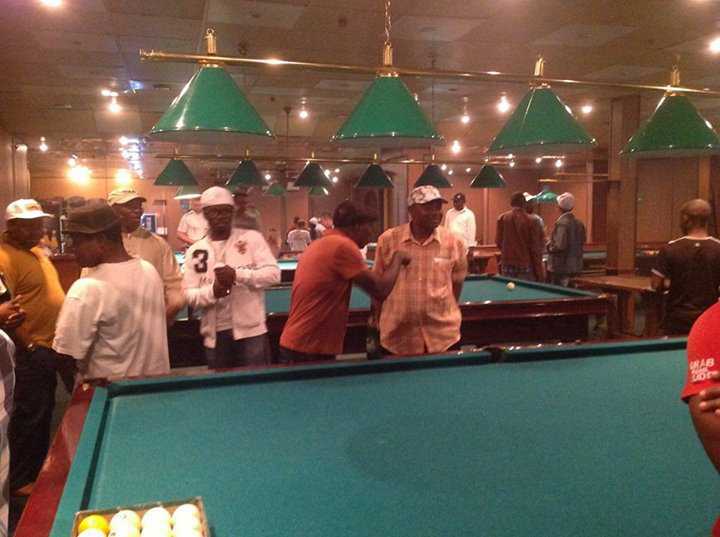 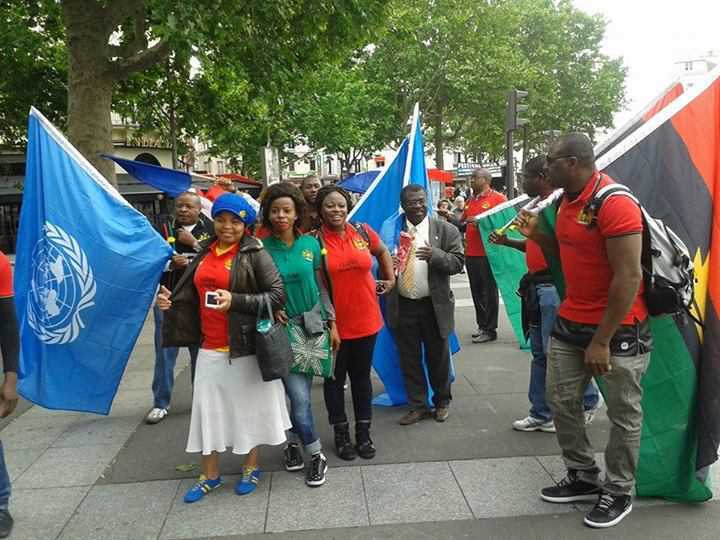 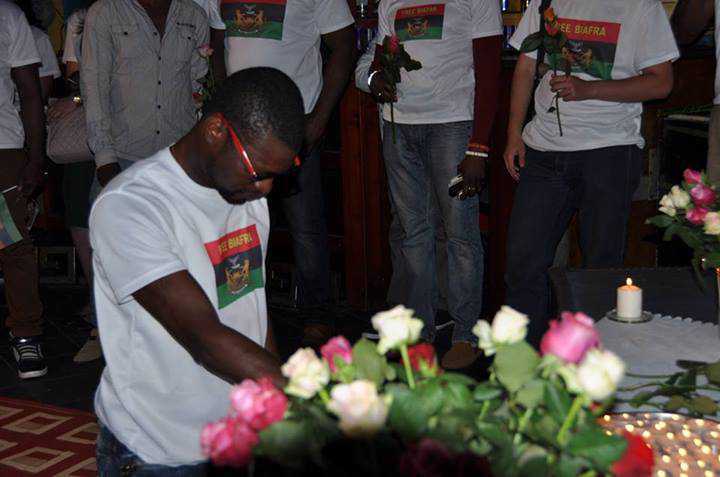 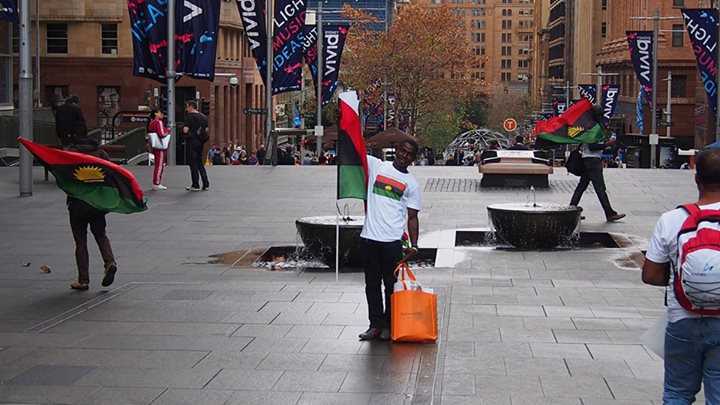 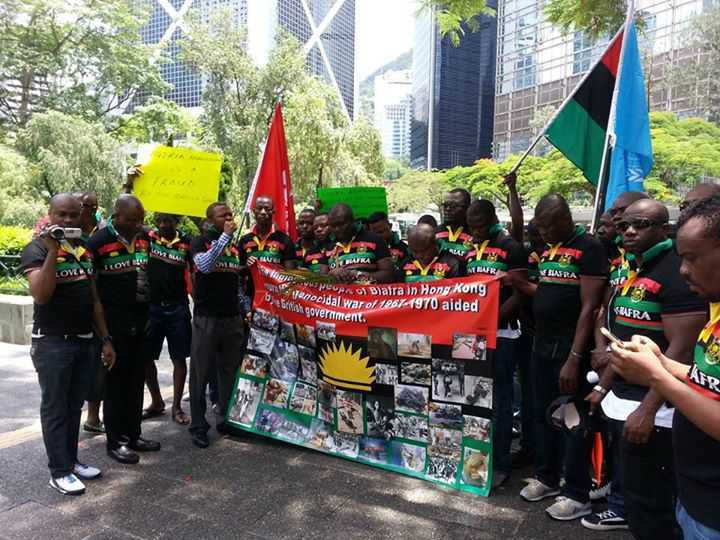 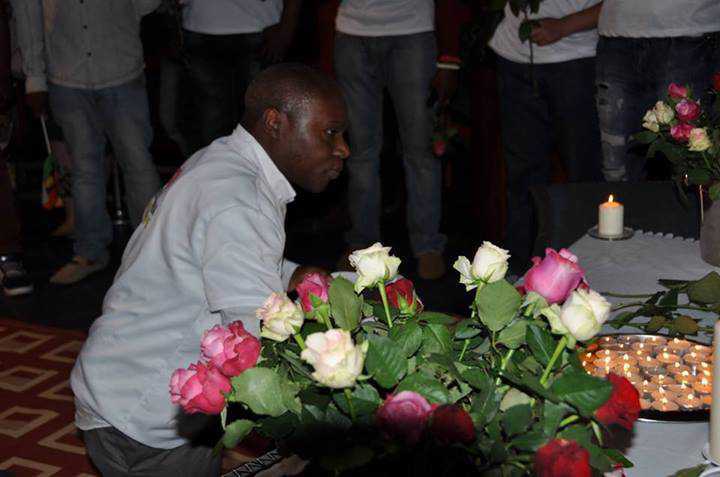 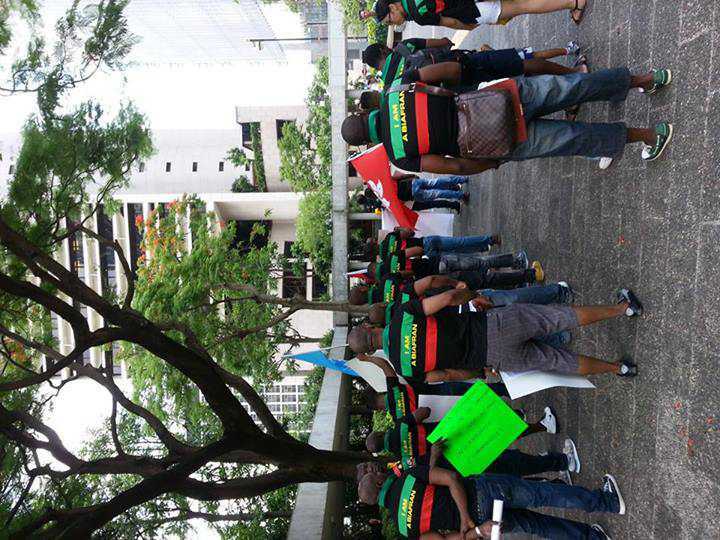 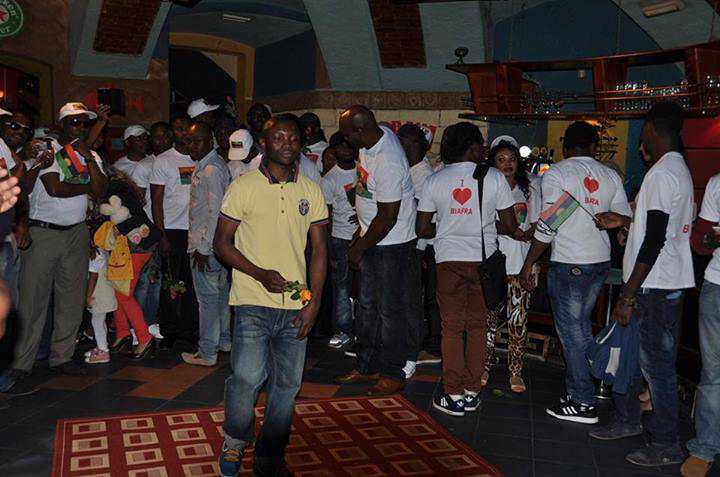 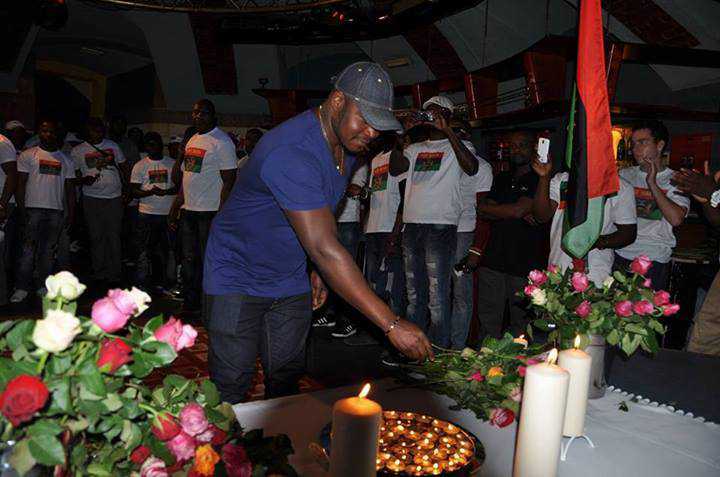 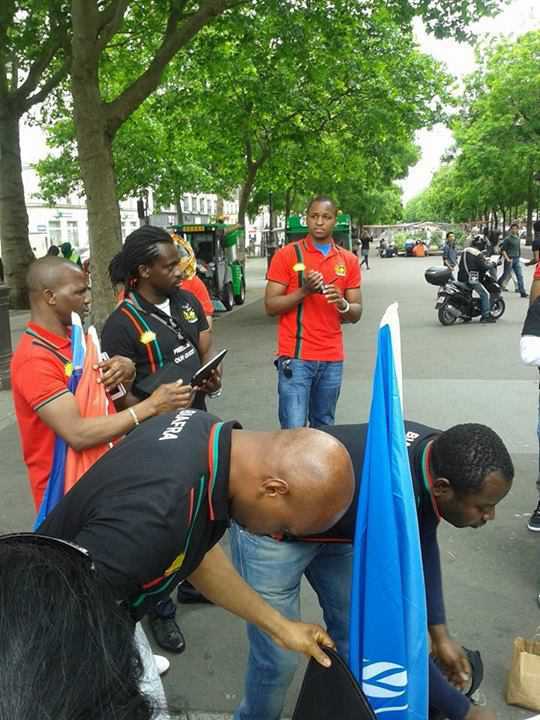 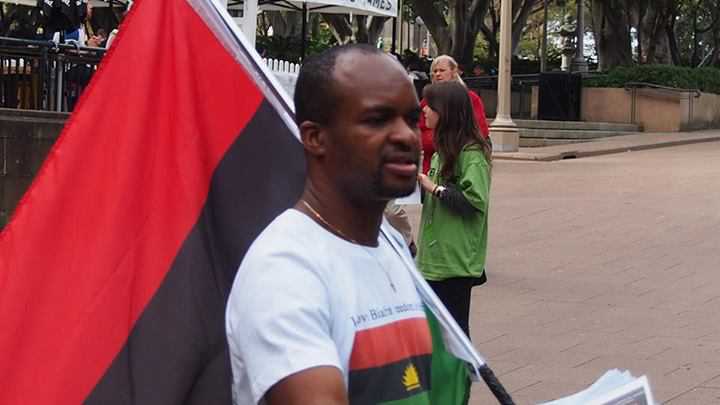 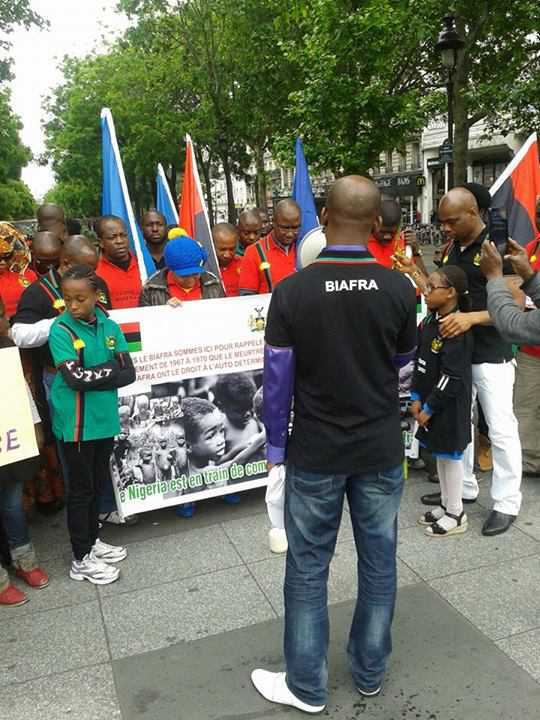 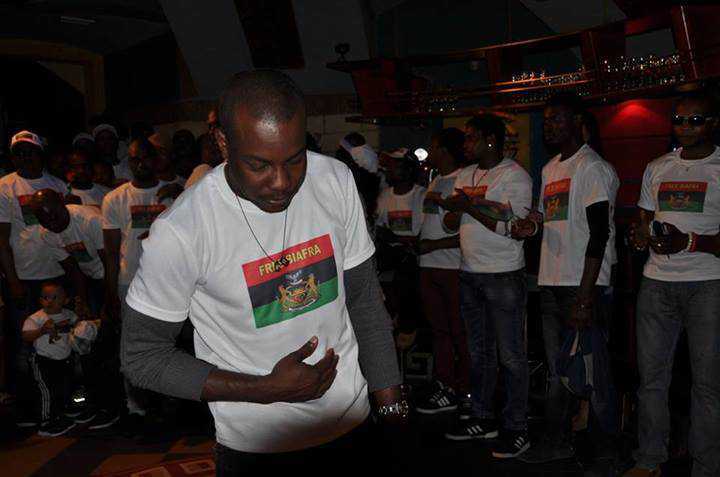 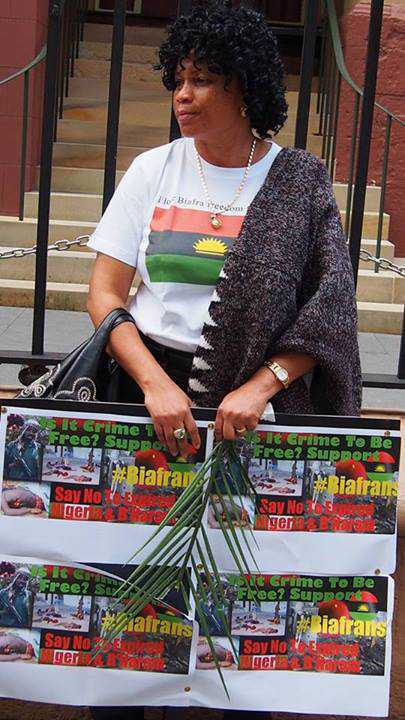 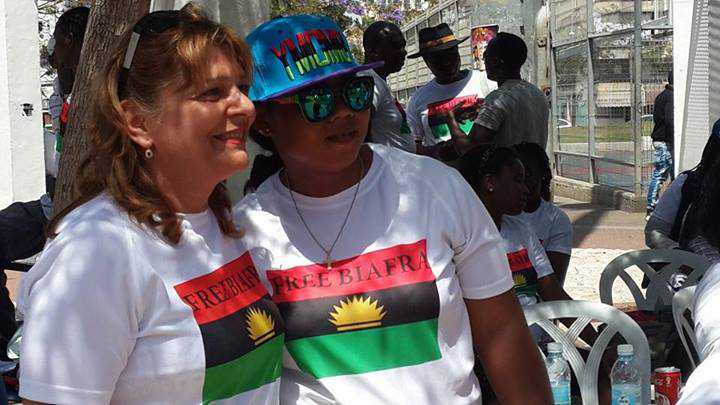 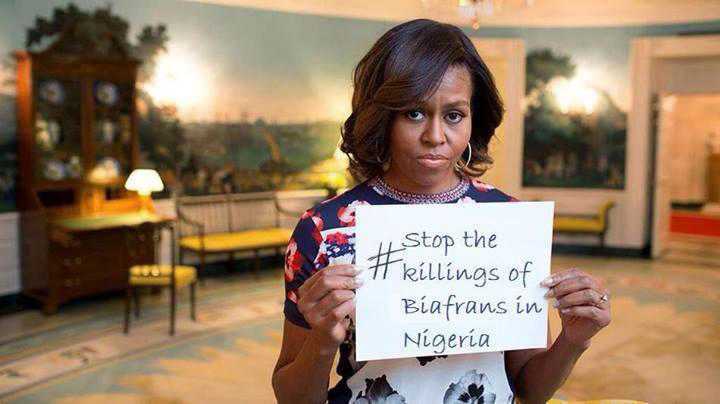 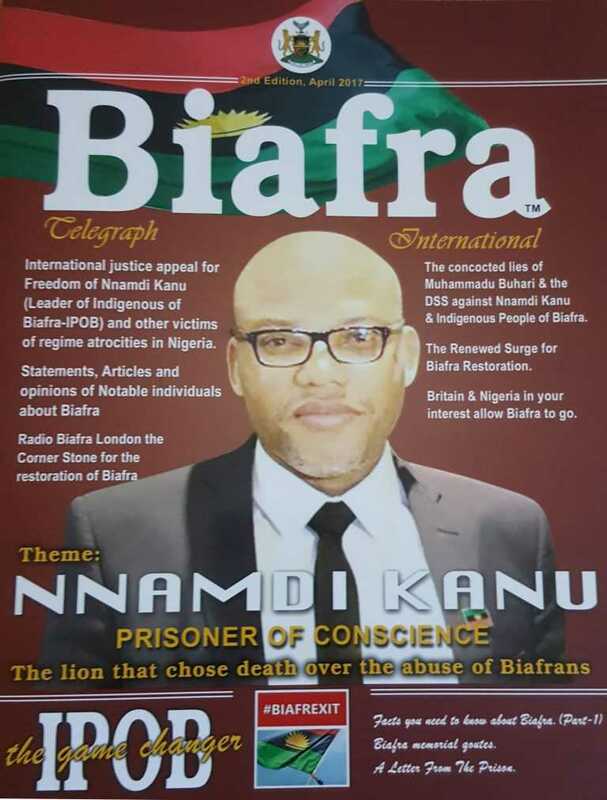 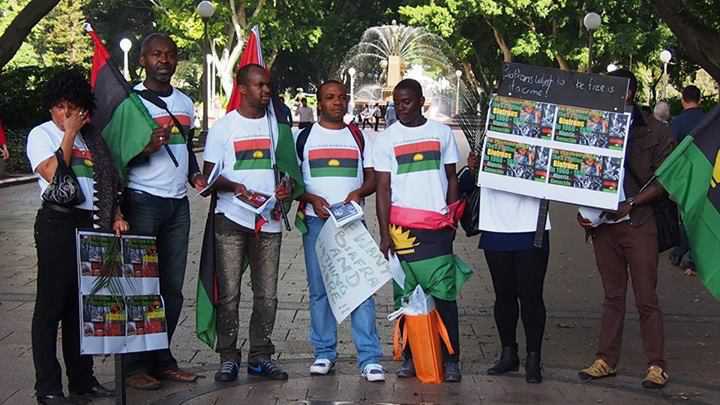 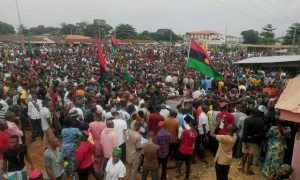 “IPOB does not respond to those who masquerade as freedom fighters. 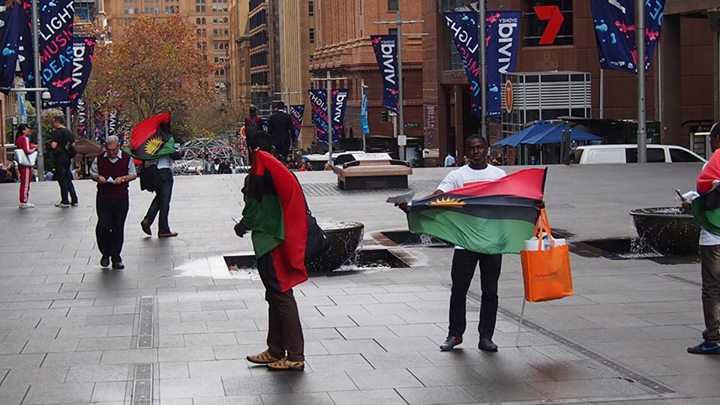 There’s an Igbo adage that says not every rain that falls deserves to have its water collected. 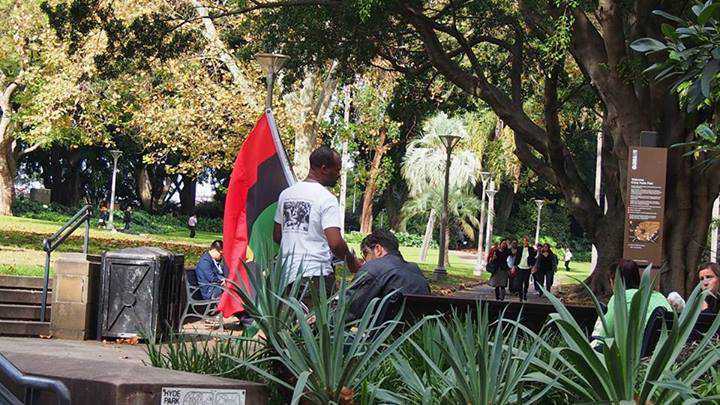 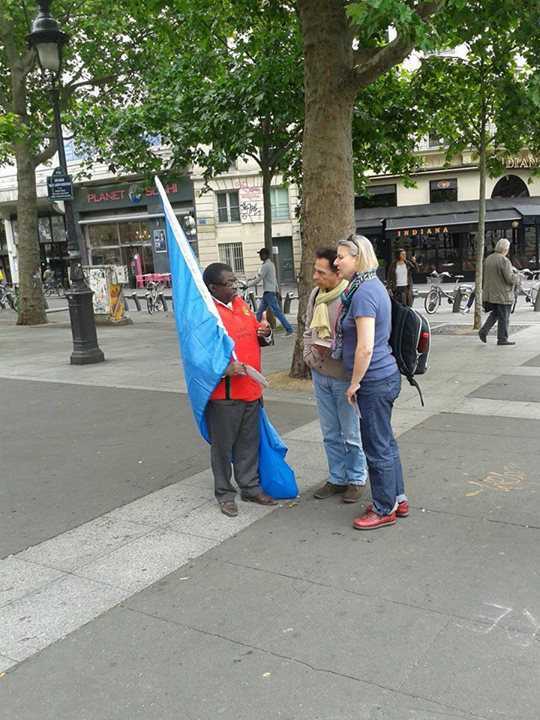 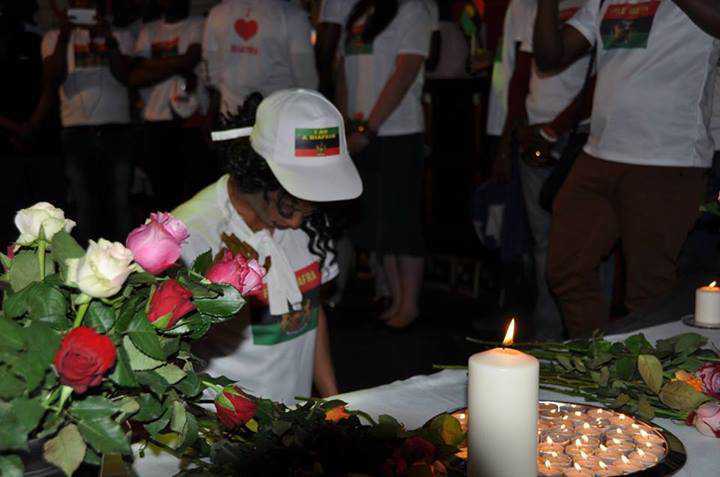 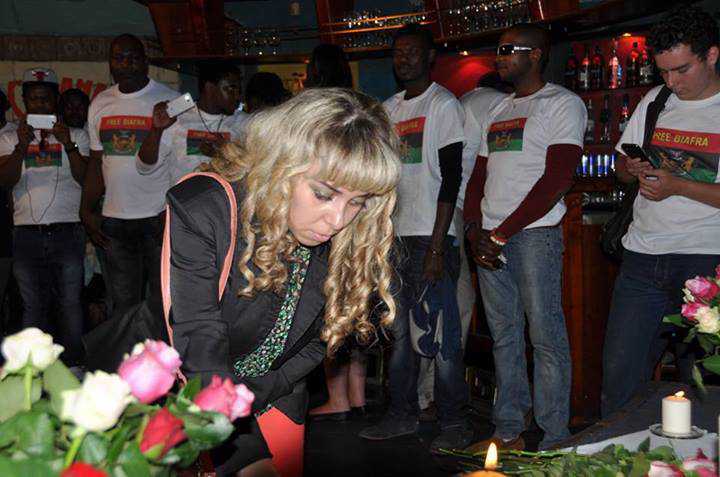 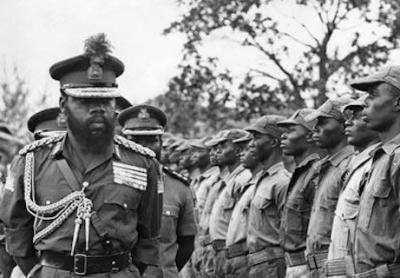 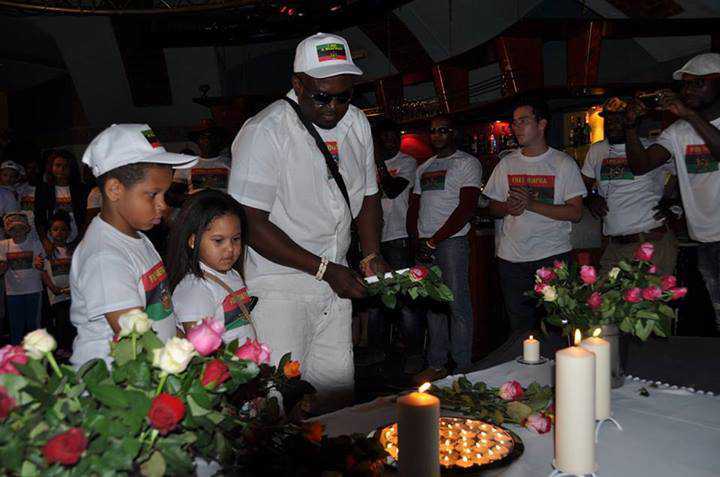 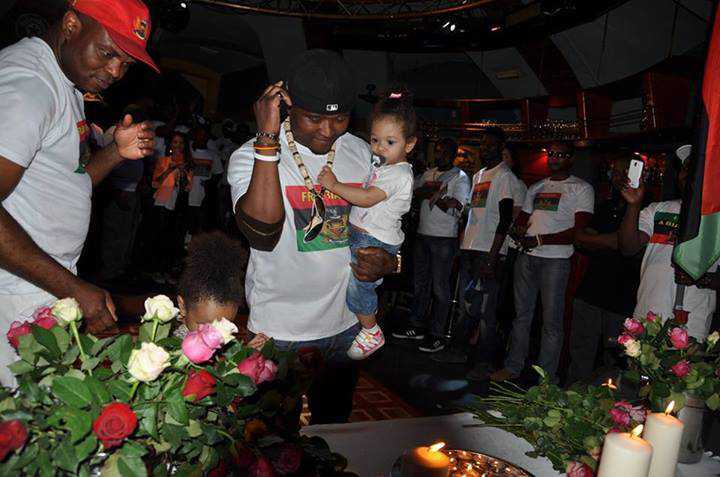 “Biafra restoration is not about publicity stunts or making outlandishly ridiculous statements to the media to attract attention. 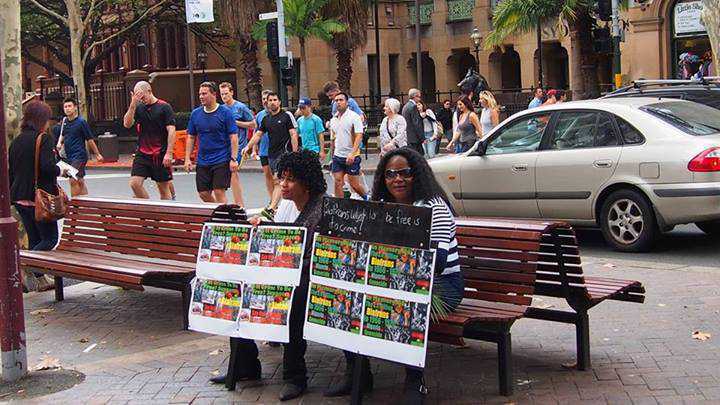 “It is an indictment of character of desperation in some individuals that they feel compelled to meddle in issues that are clearly above their station. 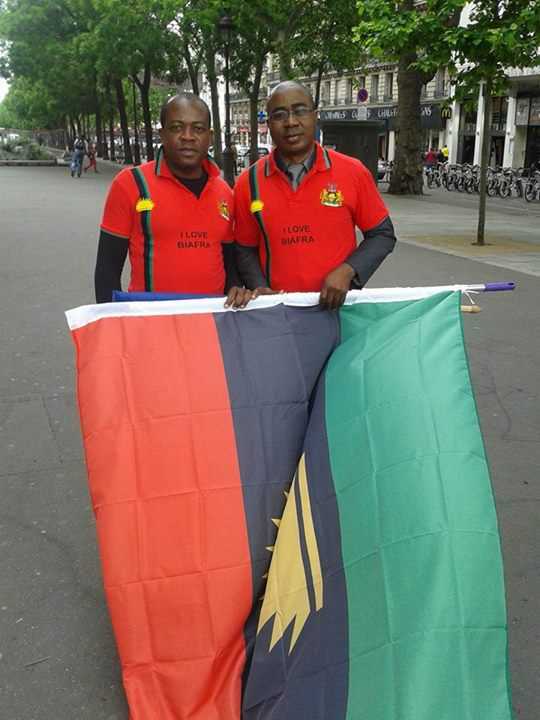 “IPOB is the largest mass movement in the world, we don’t respond to every passing rant from desperate individuals without any following. 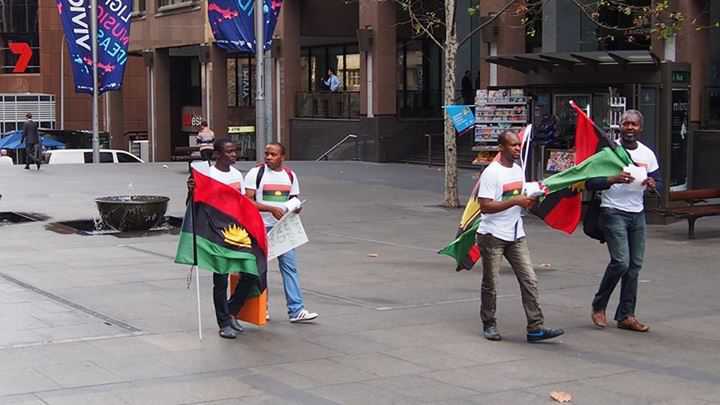 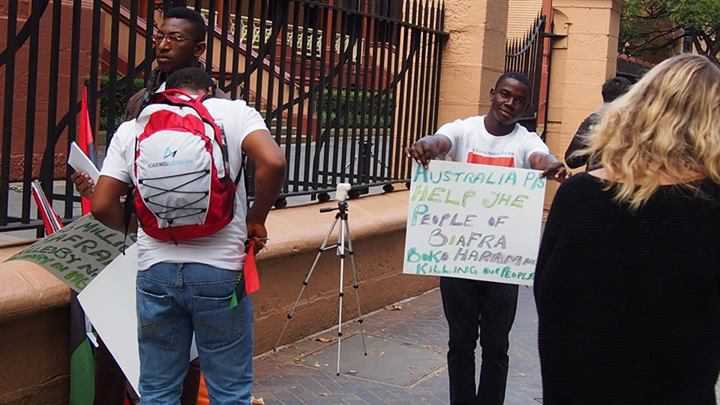 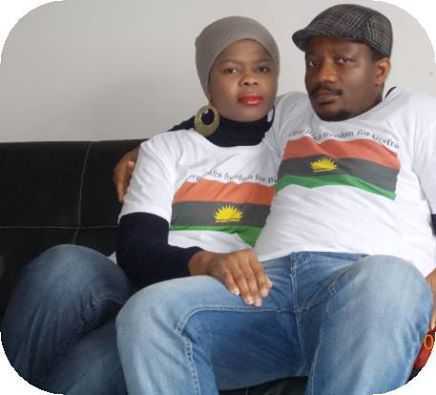 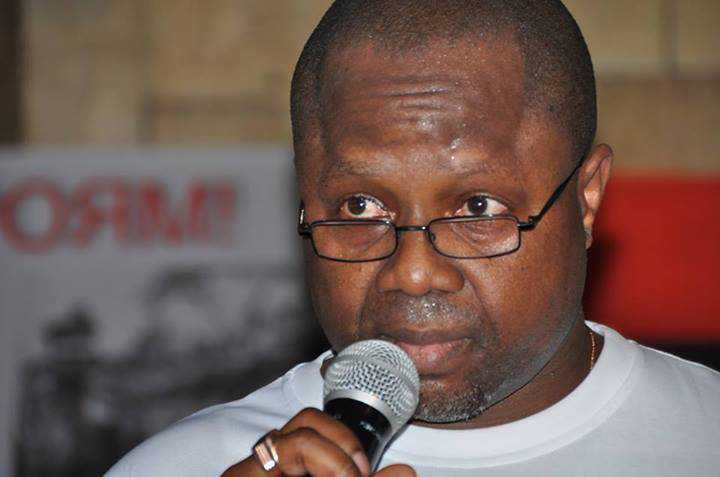 “We recognise the appeal commenting about what IPOB related matters may have on any attention seeking individual to raise their profile for whatever self-serving motive they wish to accomplish.